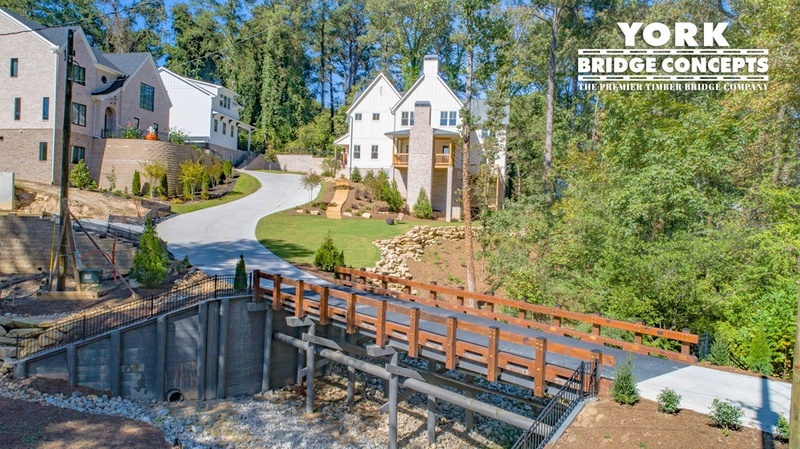 The Lake Arrowhead community boasts lakefront living at the base of the picturesque Blue Ridge Mountains. 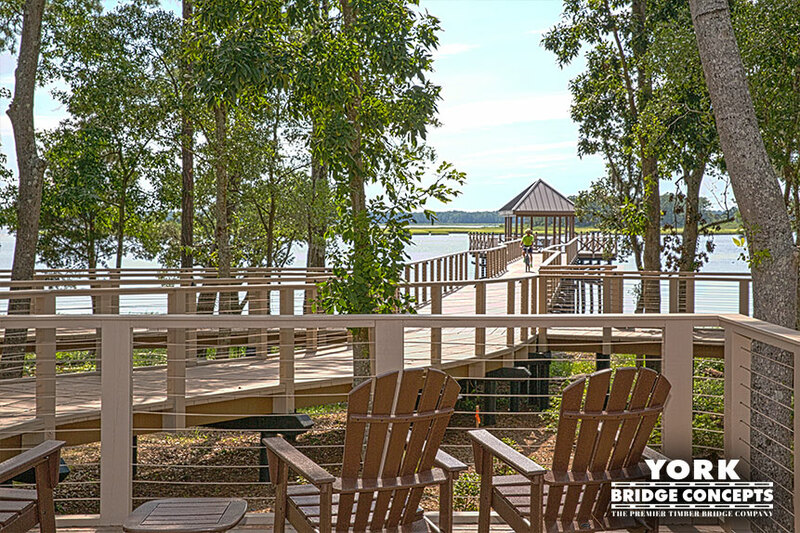 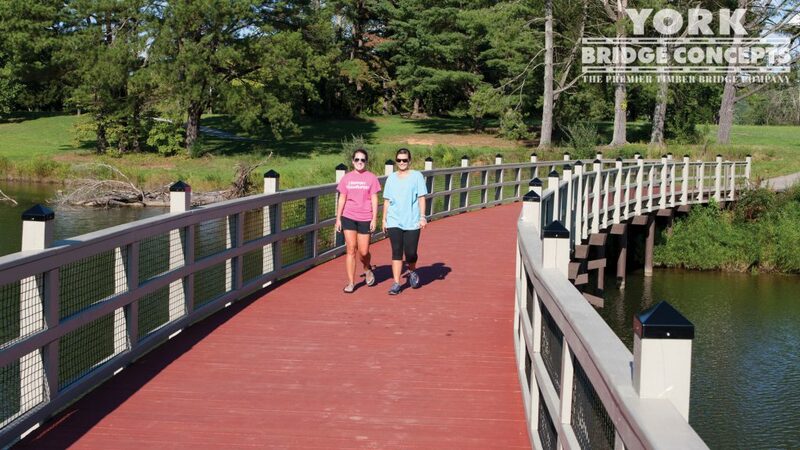 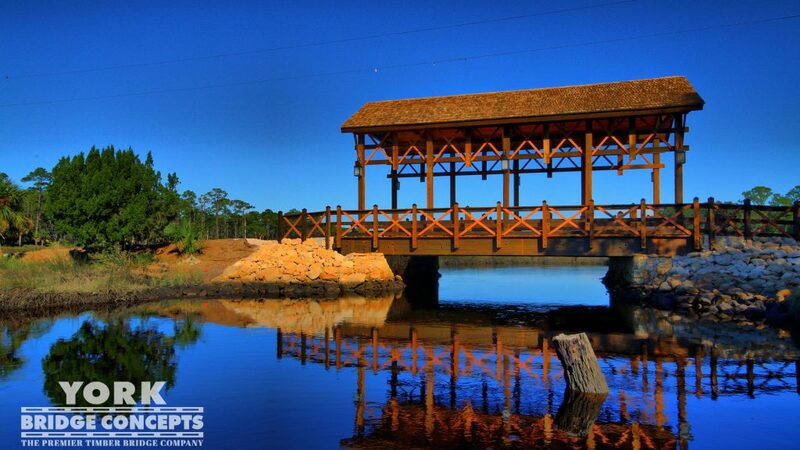 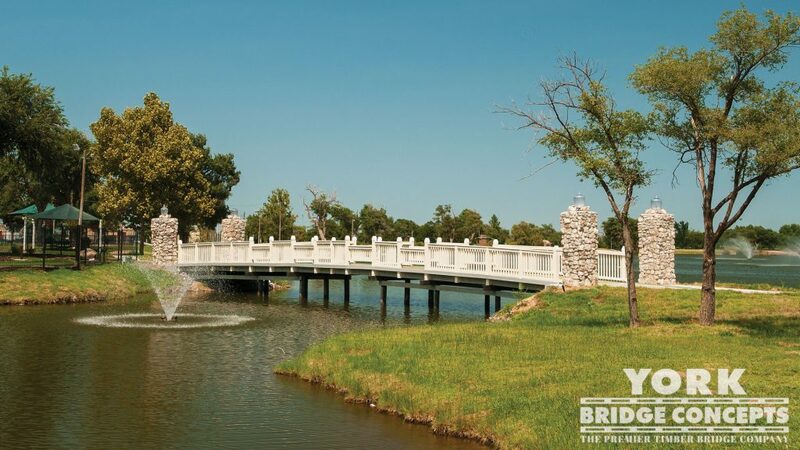 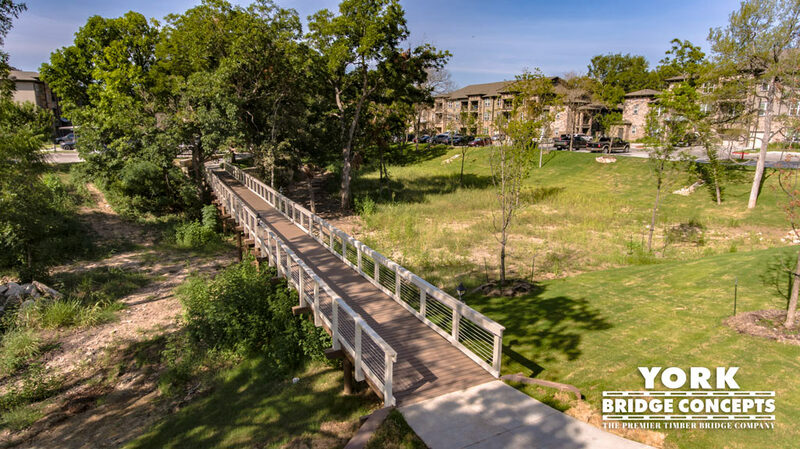 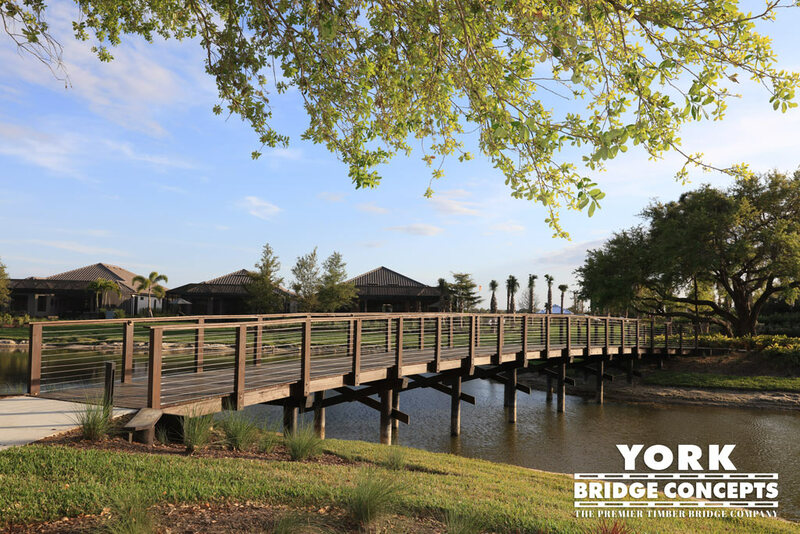 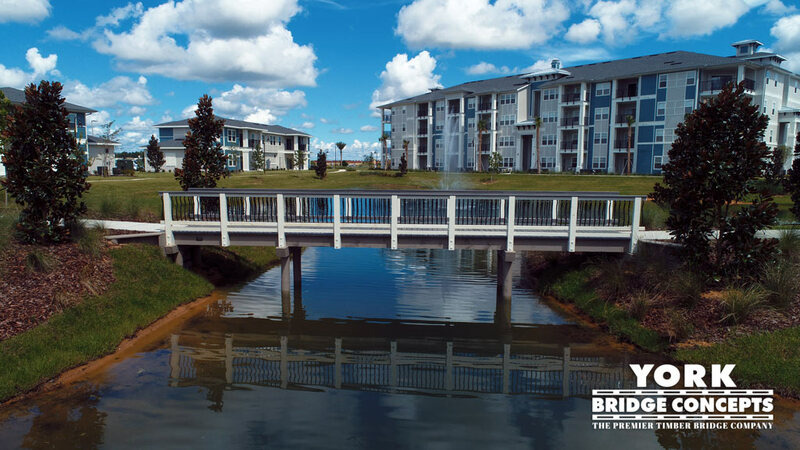 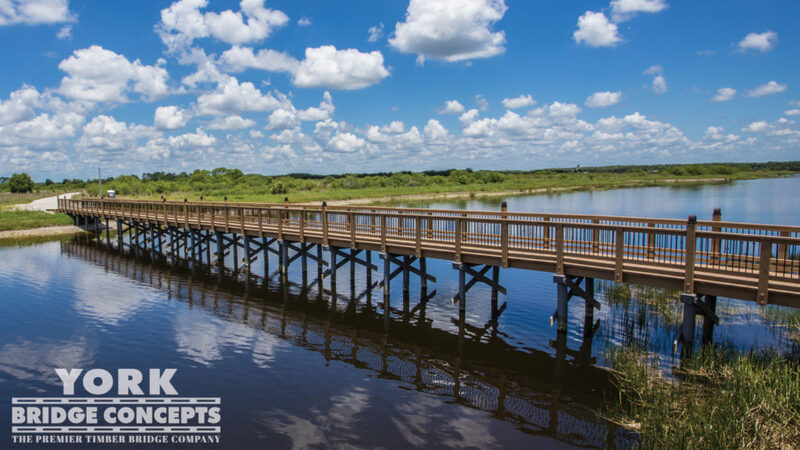 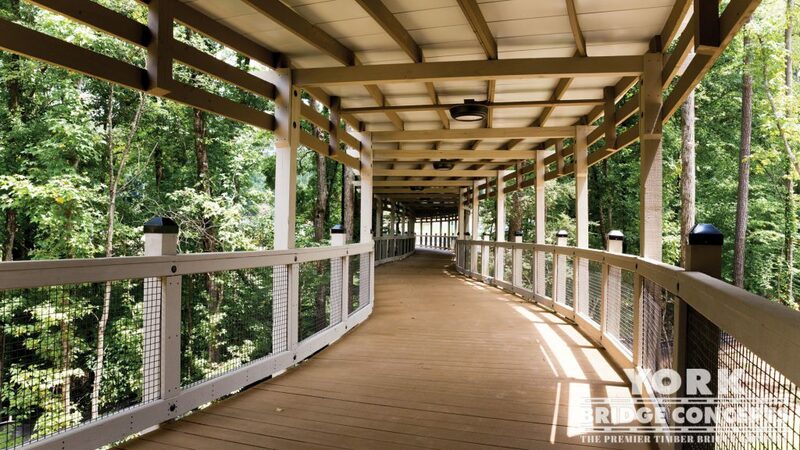 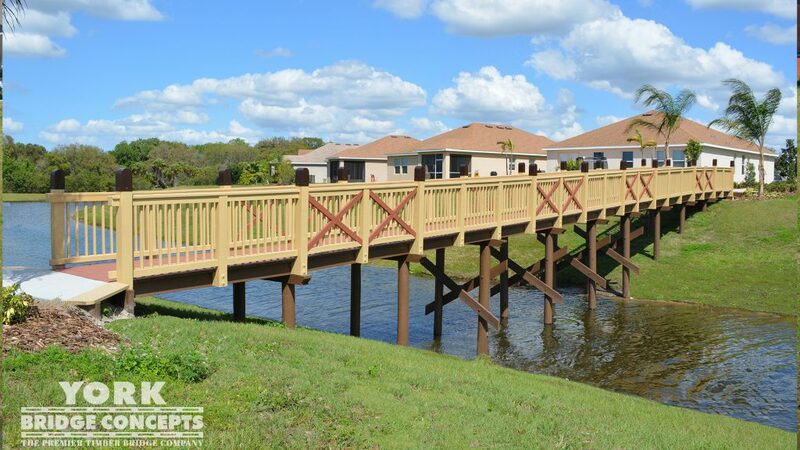 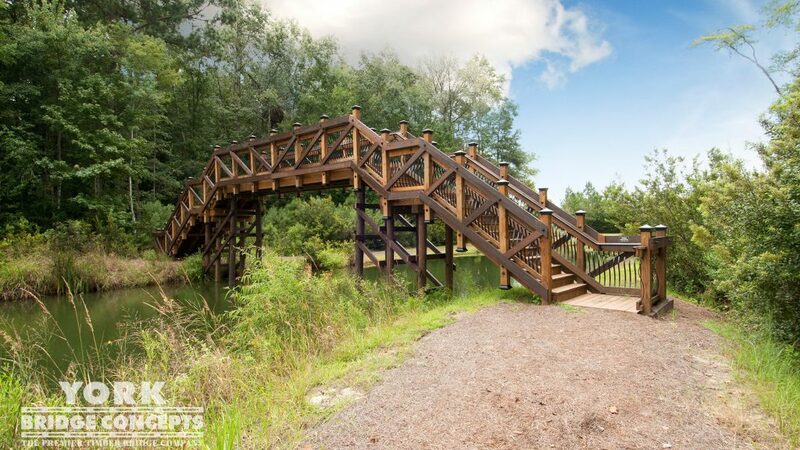 The community is home to miles of outdoor living trails and countless amenities catering to an active lifestyle with a resort-style aesthetic. 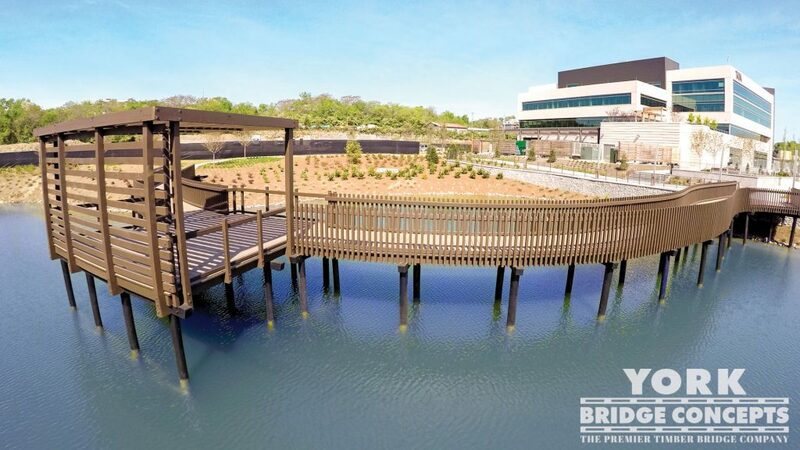 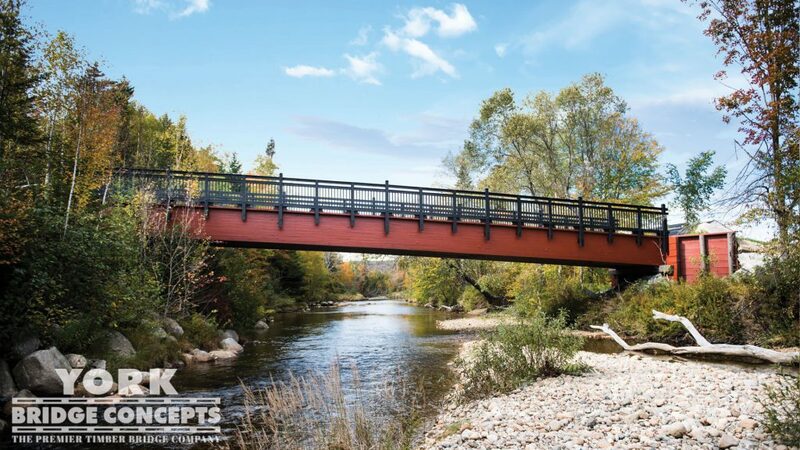 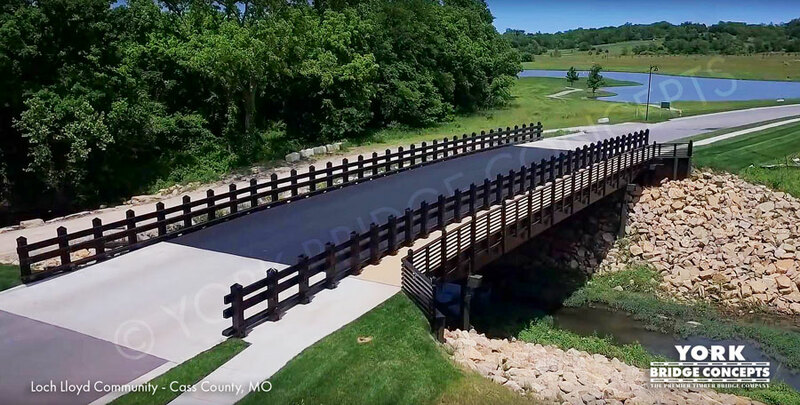 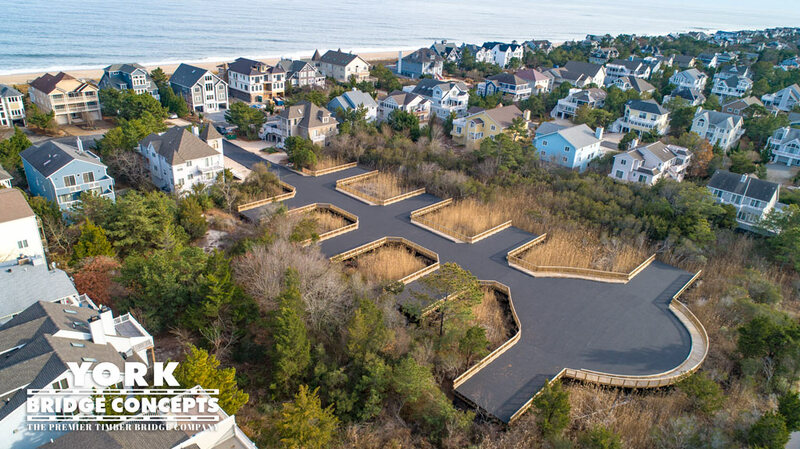 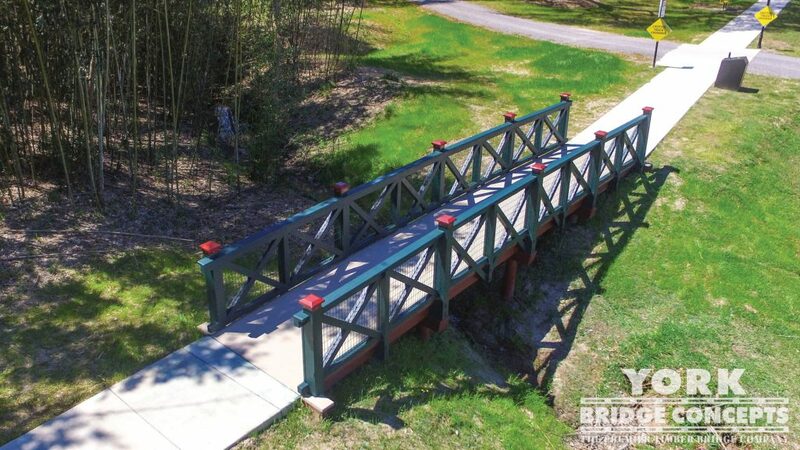 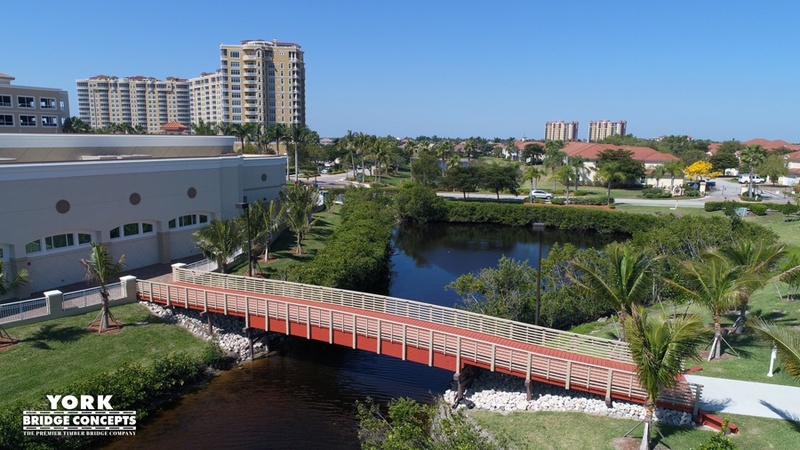 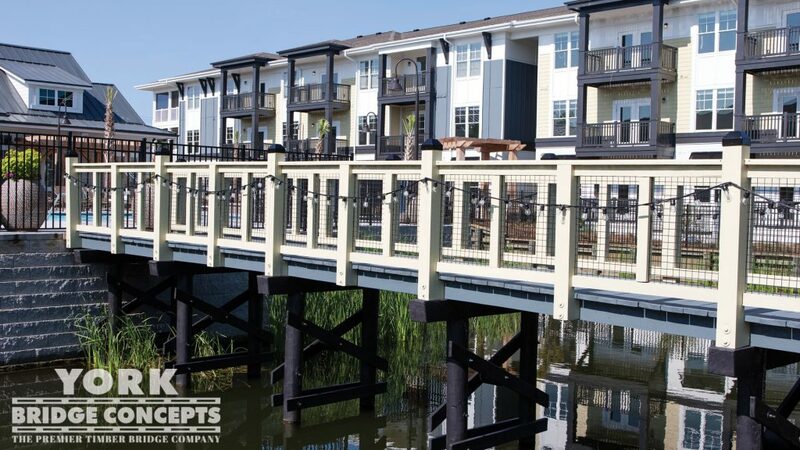 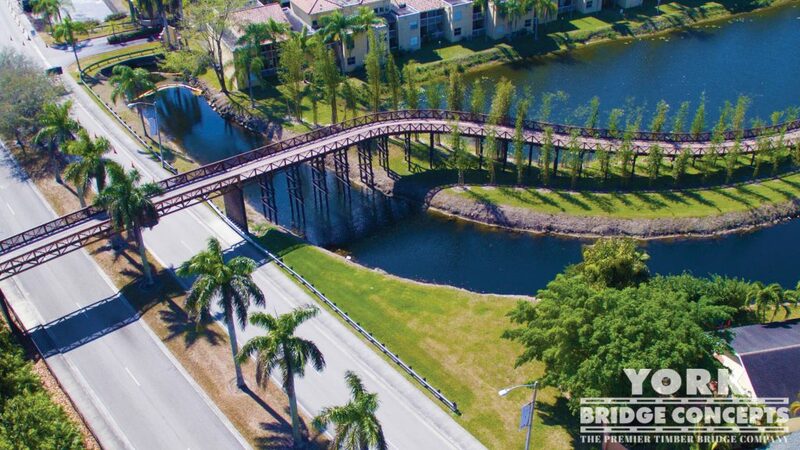 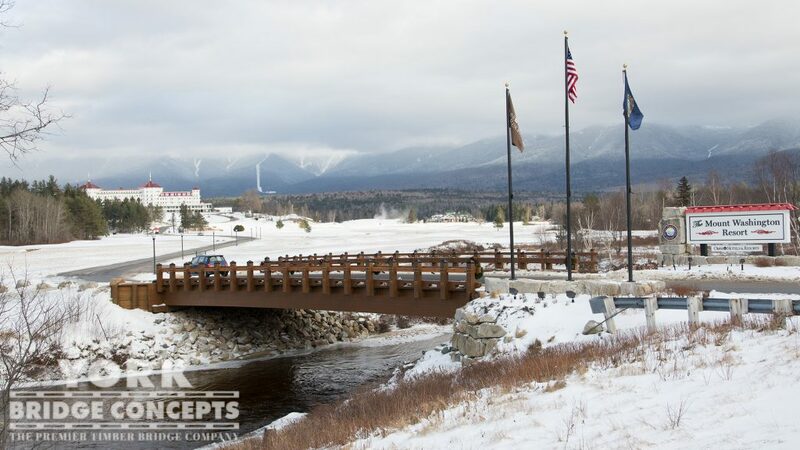 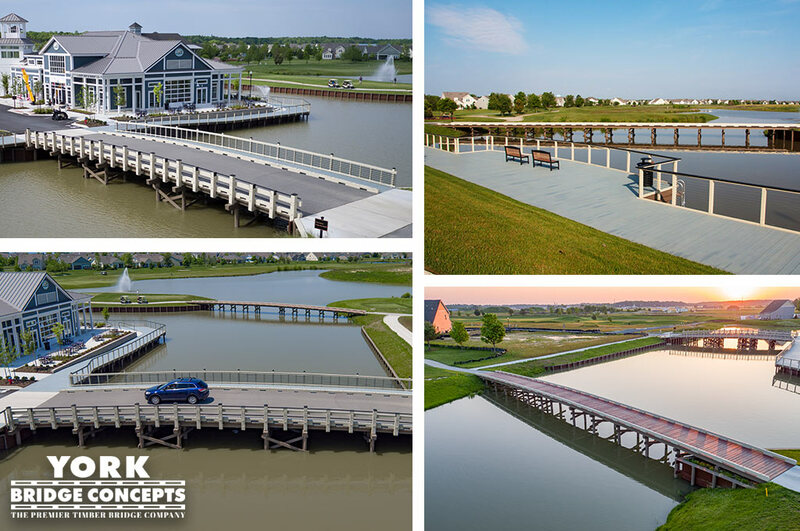 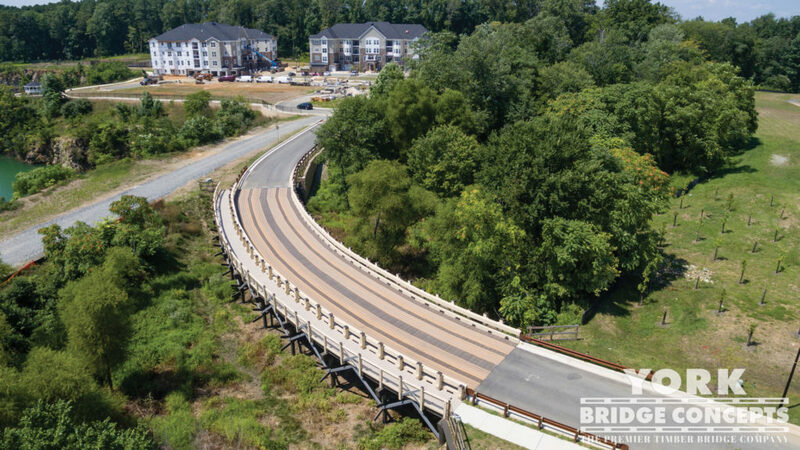 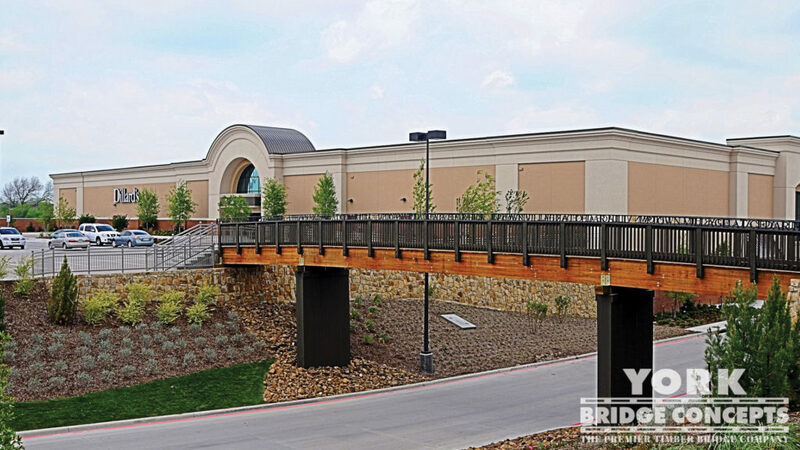 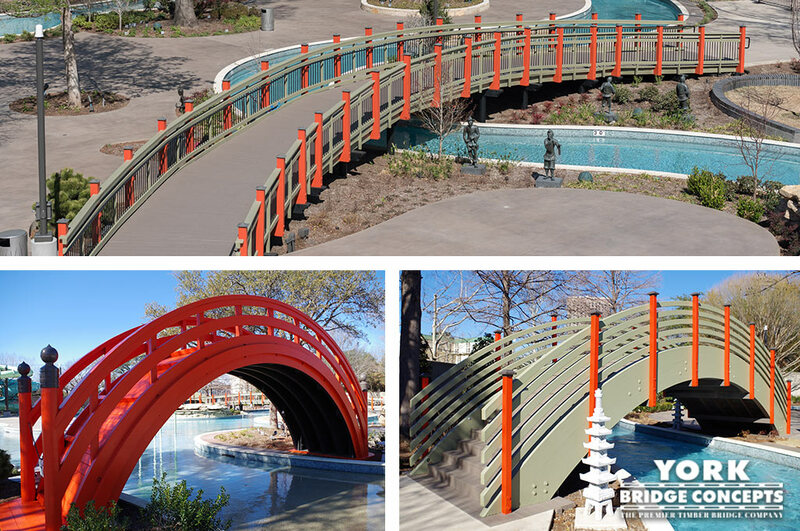 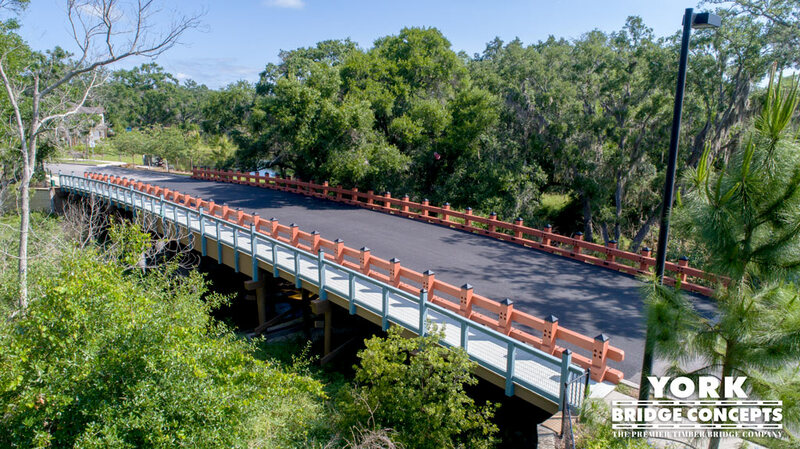 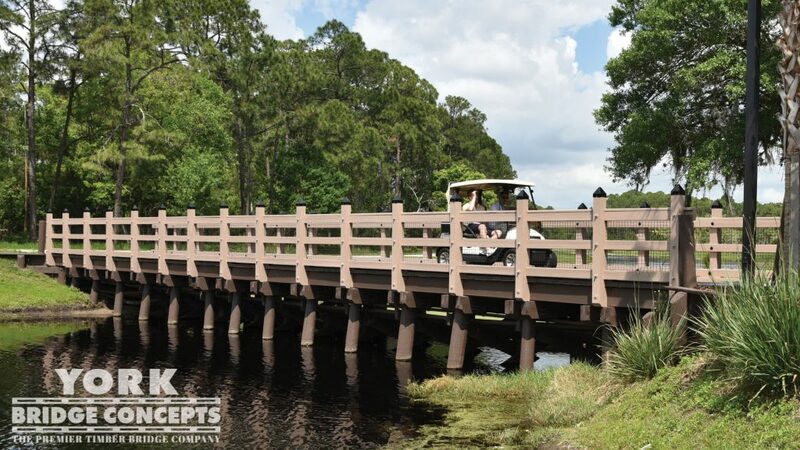 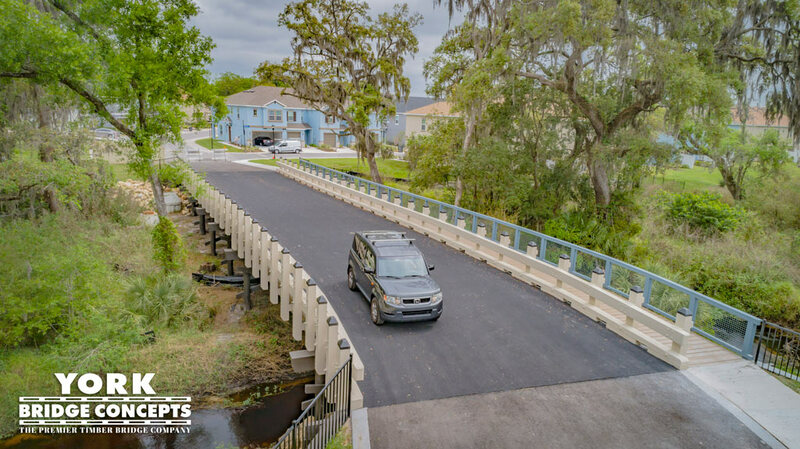 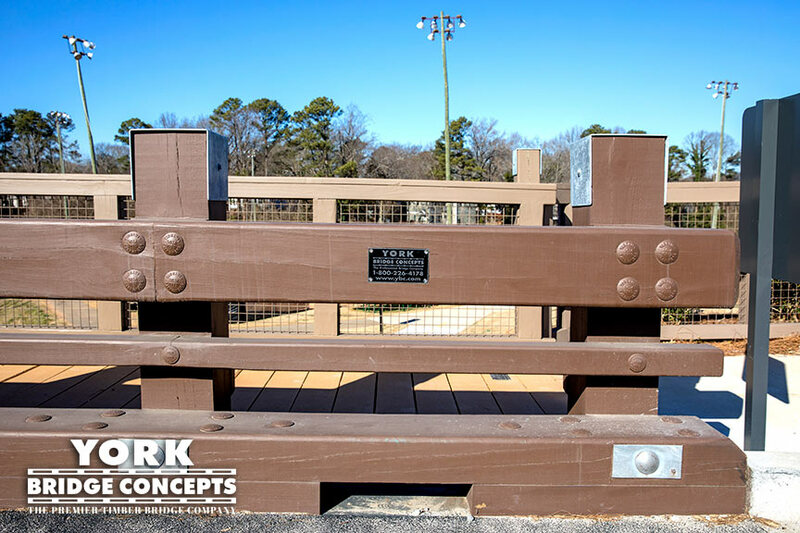 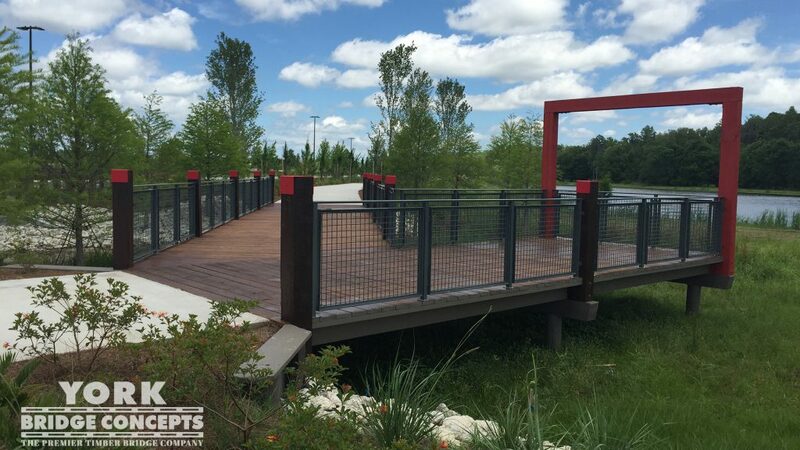 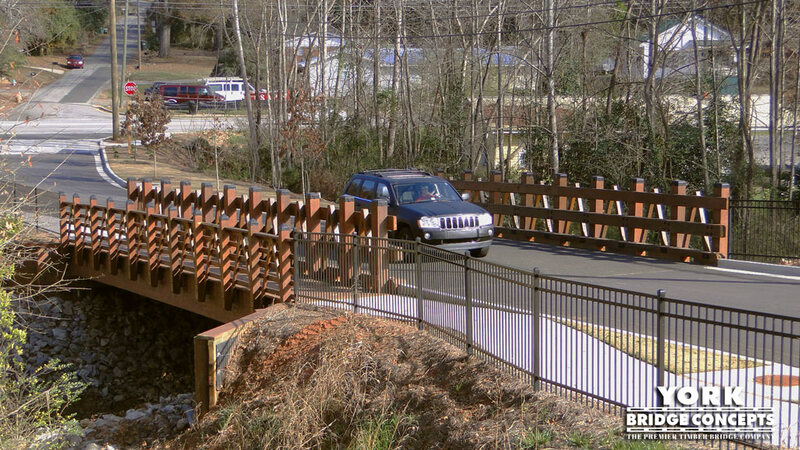 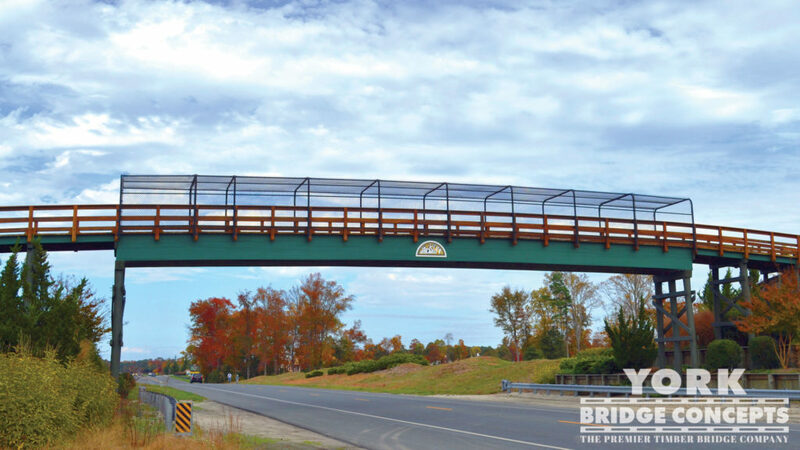 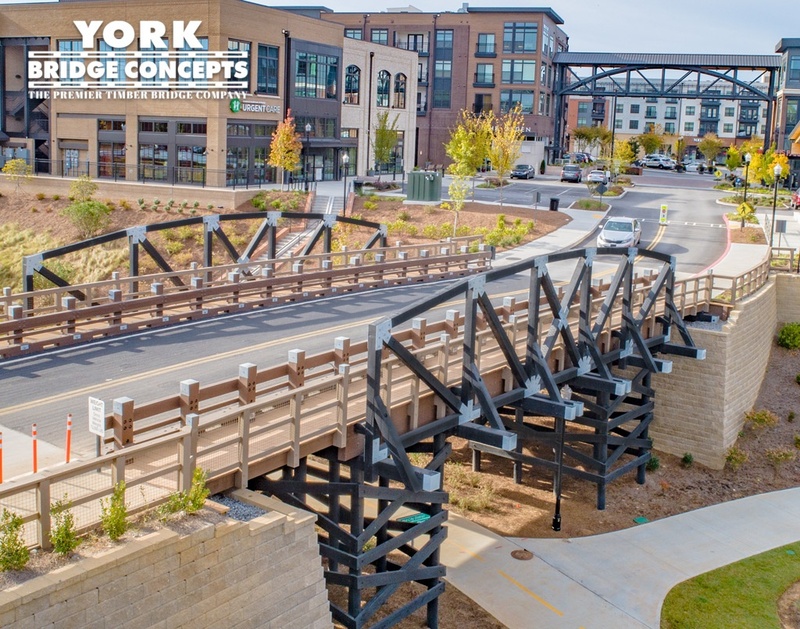 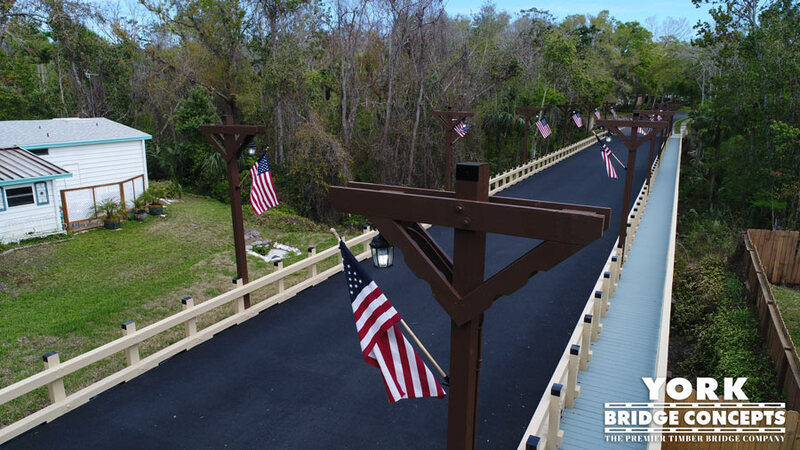 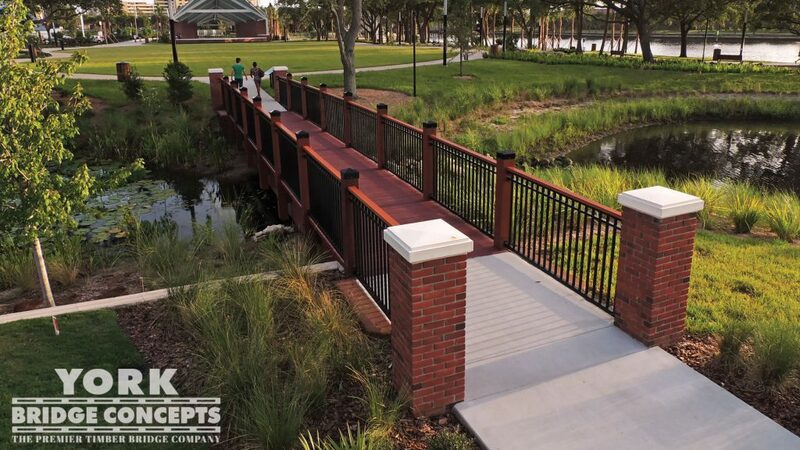 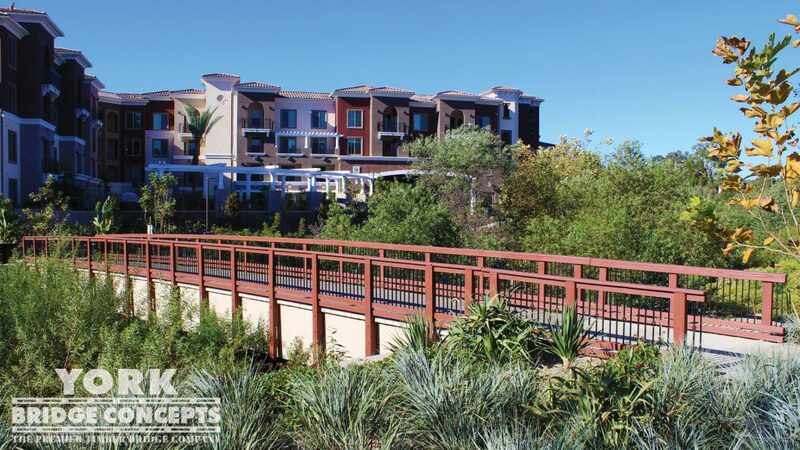 The Decero™ Design Team created a free span design to rise above a former steel bridge & large facilities pipe to provide a vehicular crossing for new development within the area. 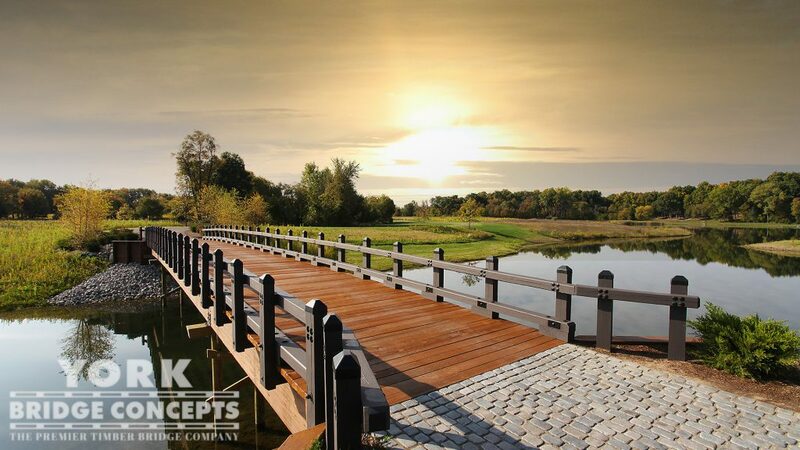 The design features a wide planed X-Design so beautifully crafted it resembles the woodworking of fine furniture. 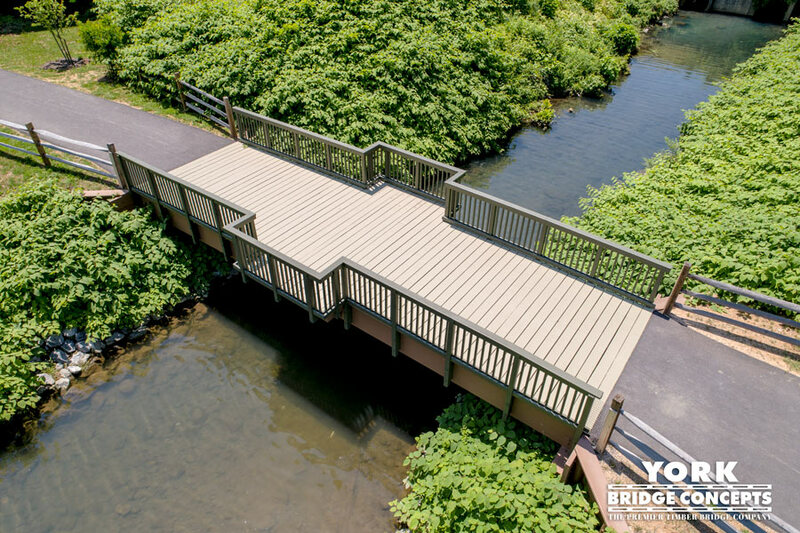 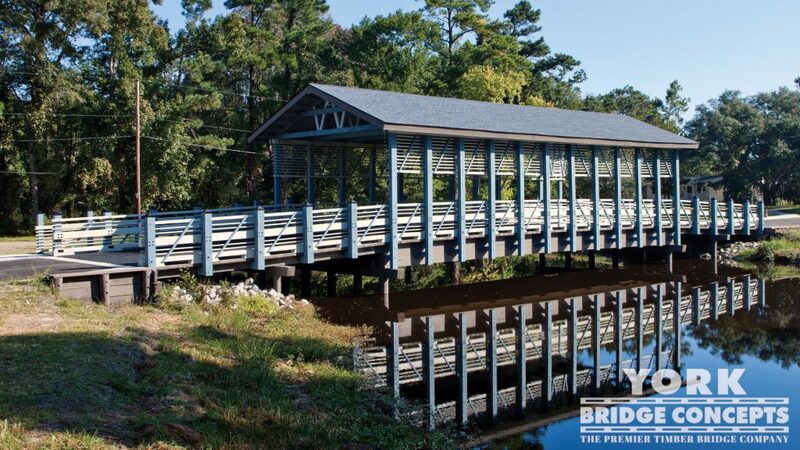 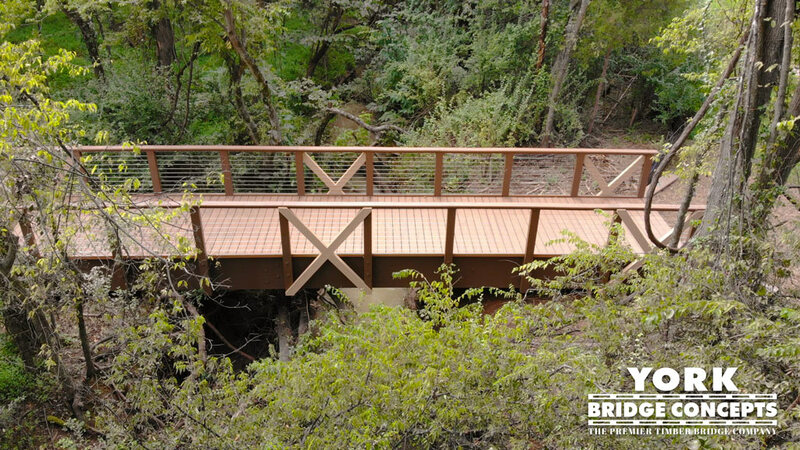 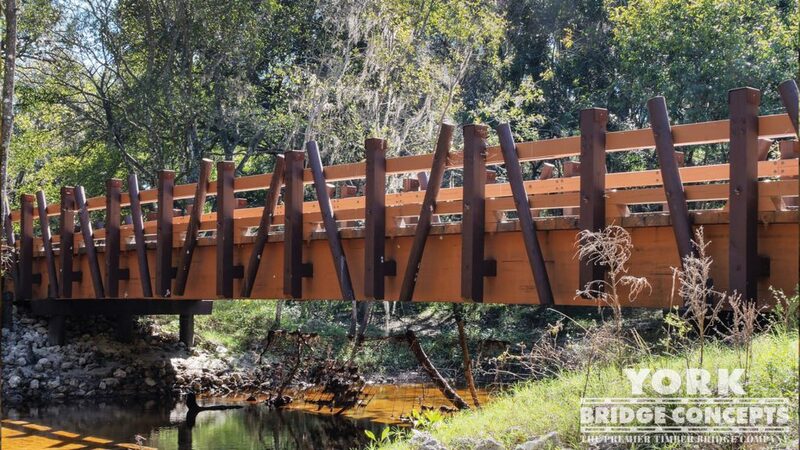 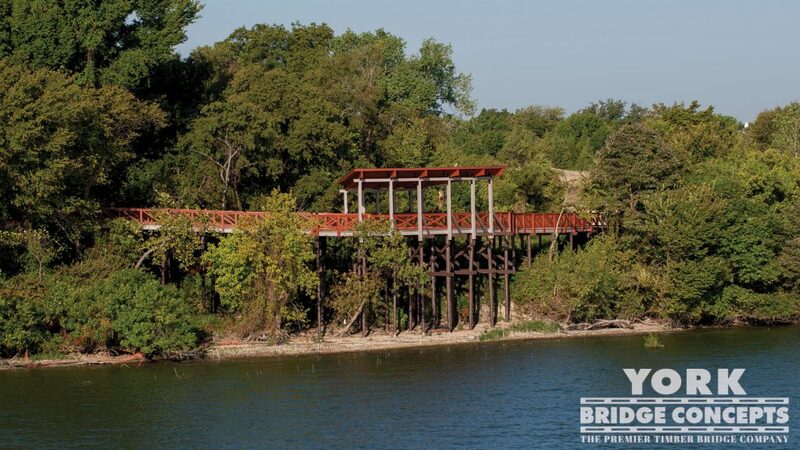 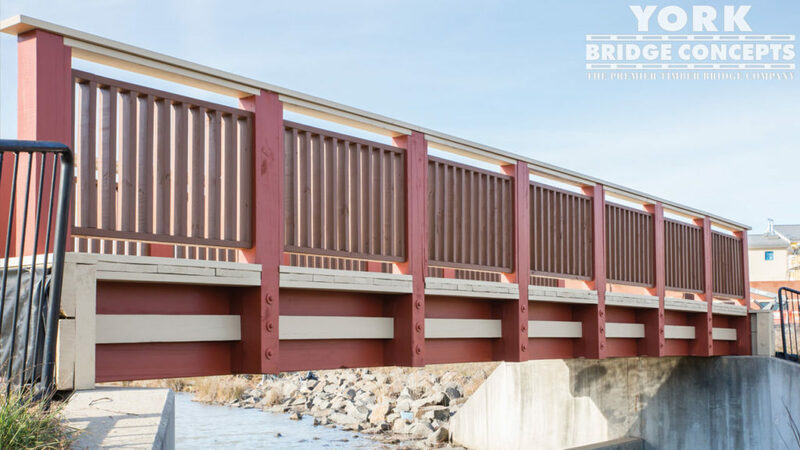 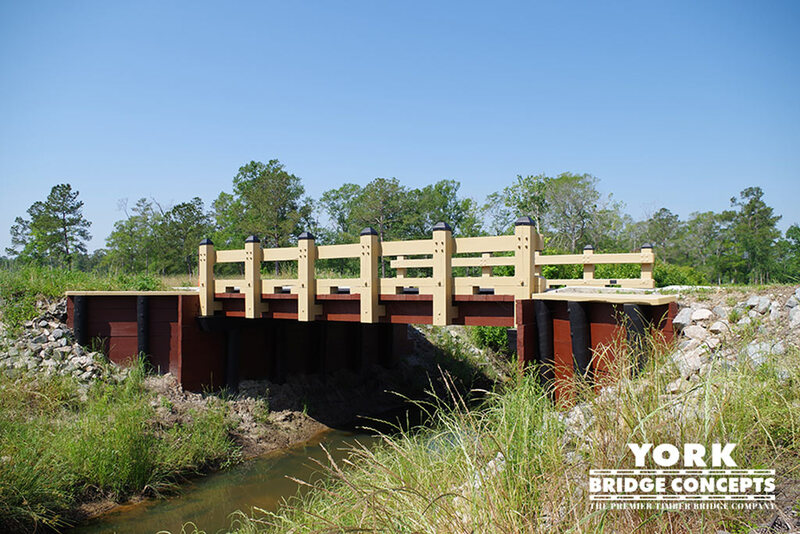 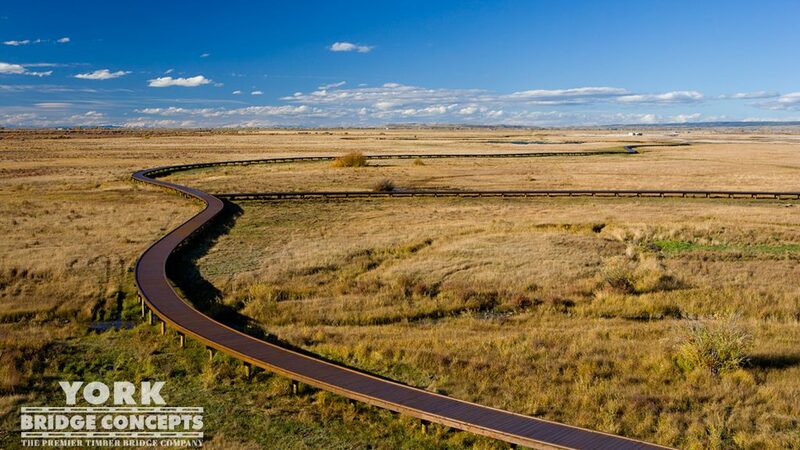 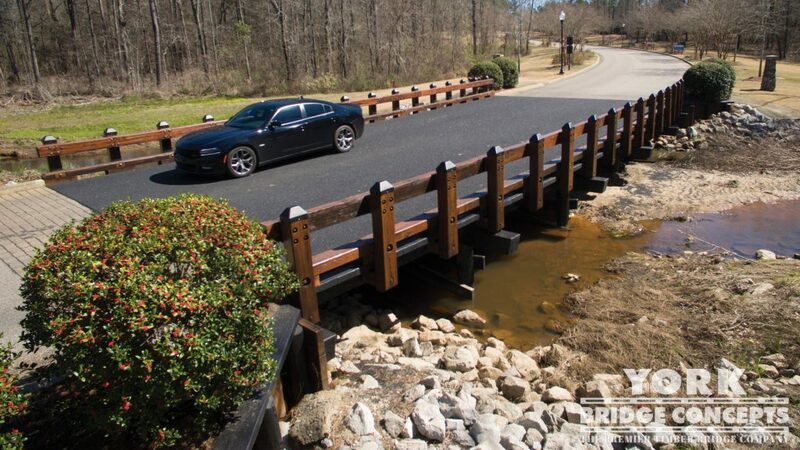 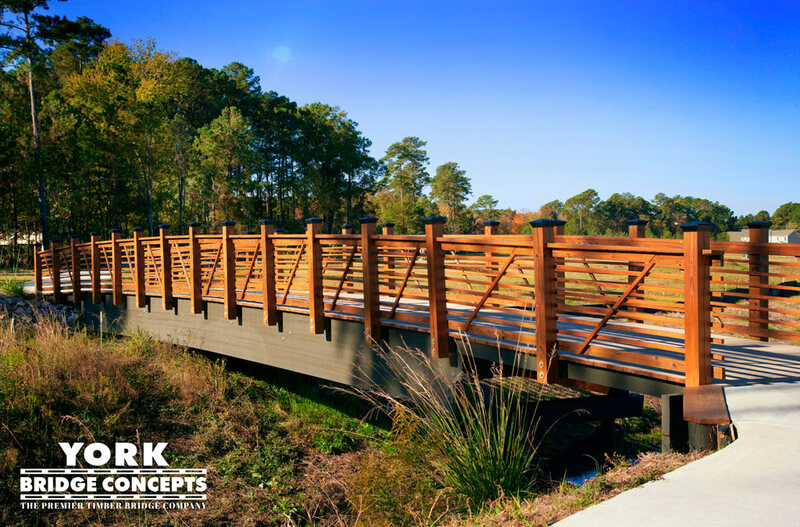 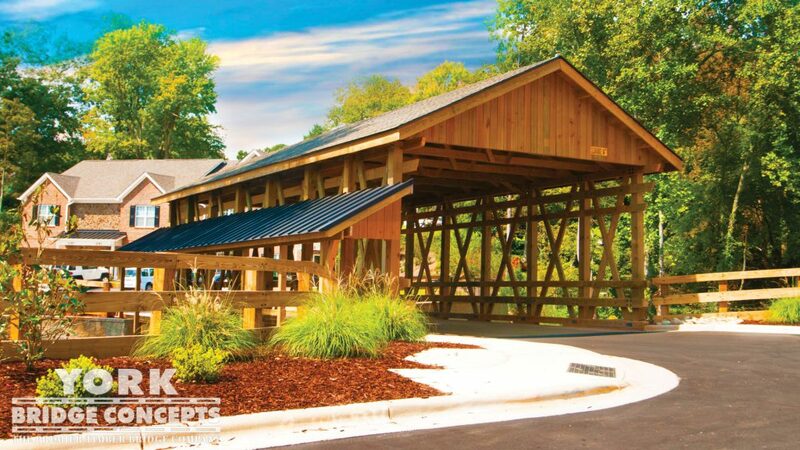 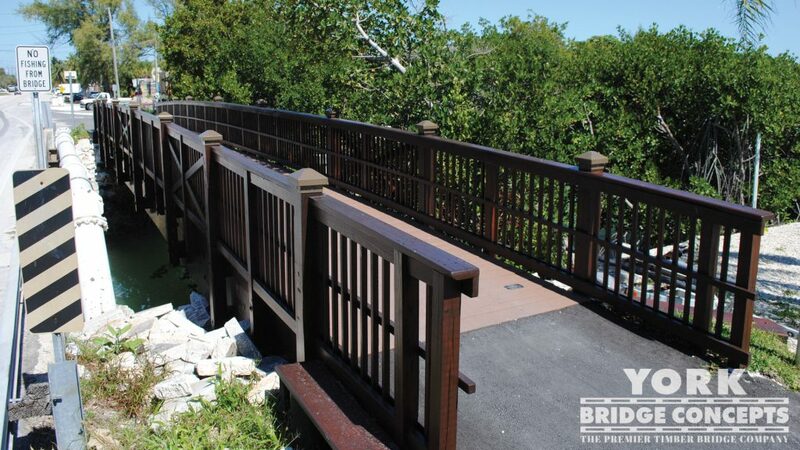 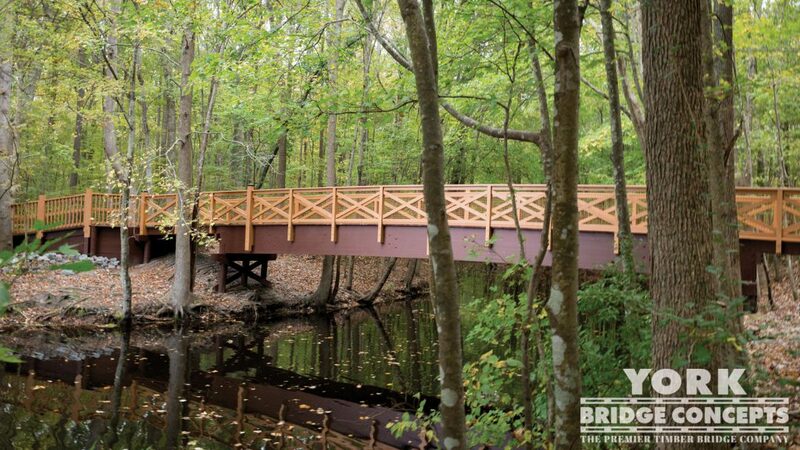 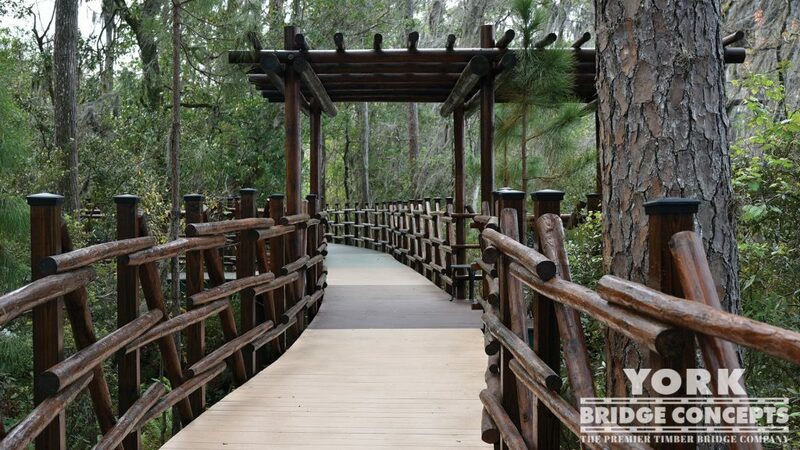 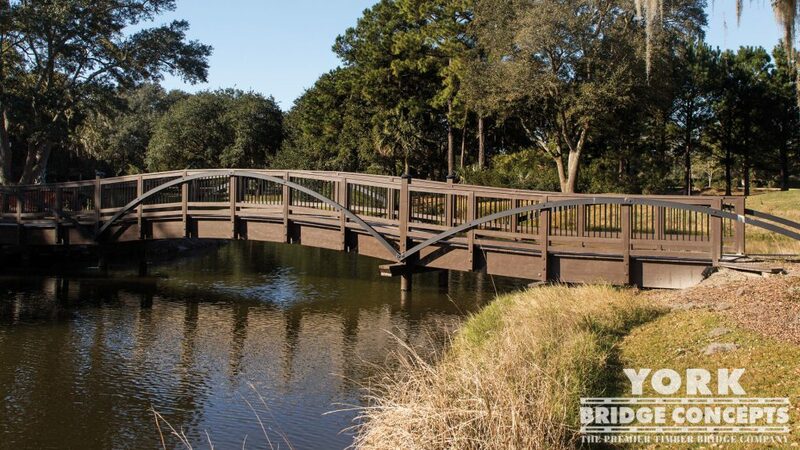 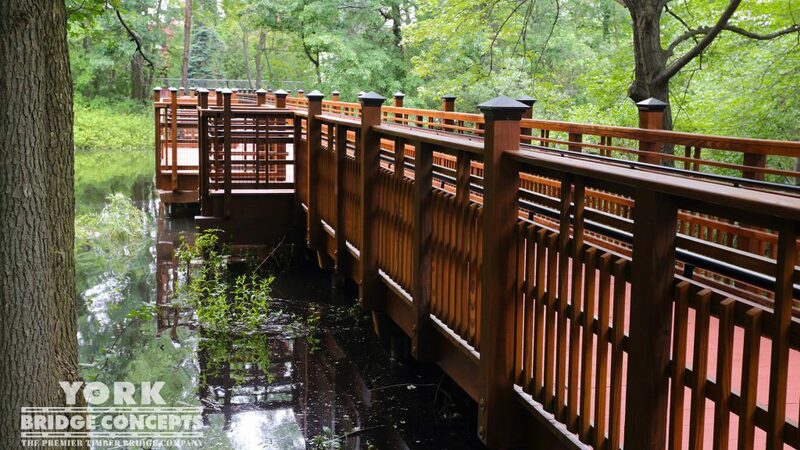 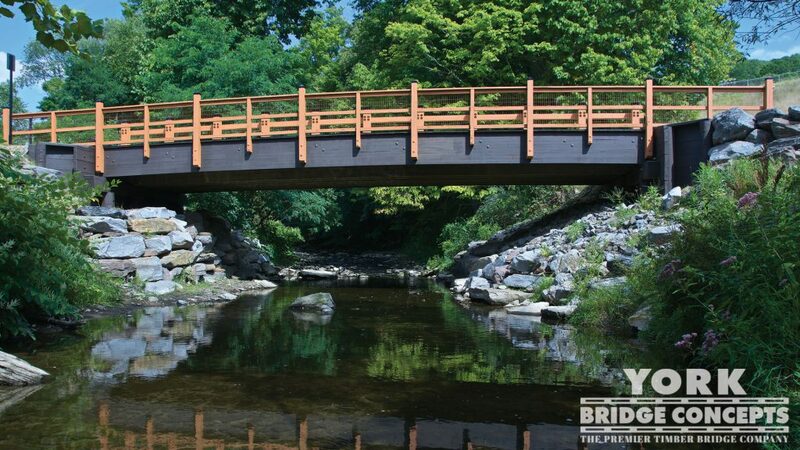 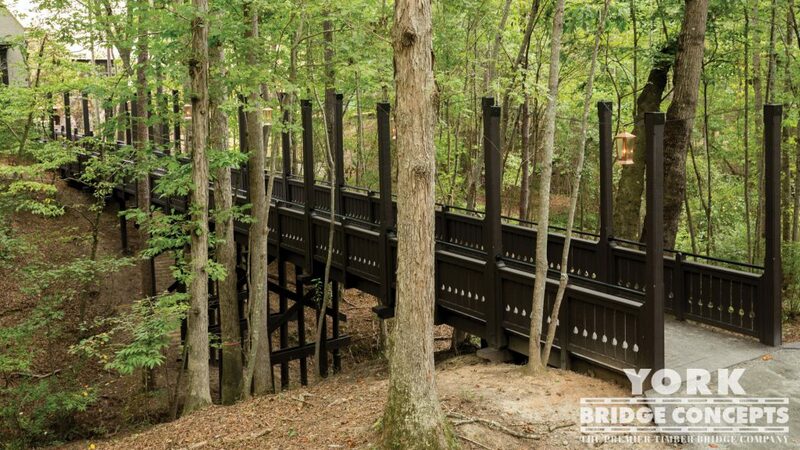 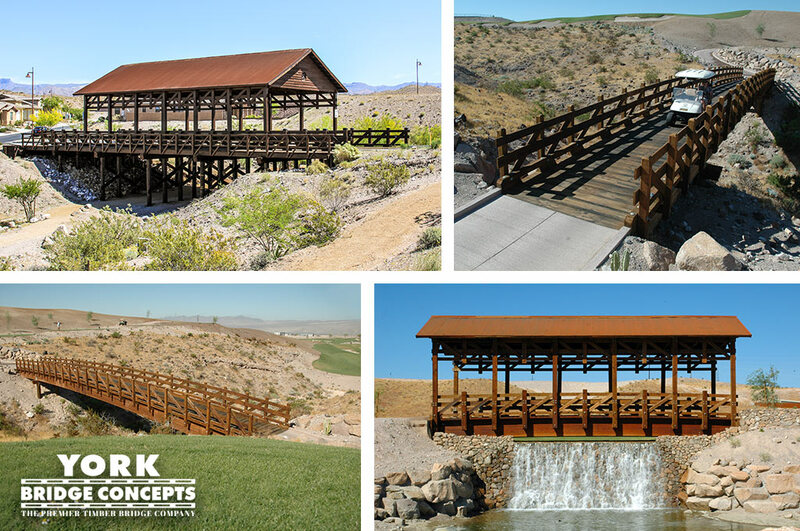 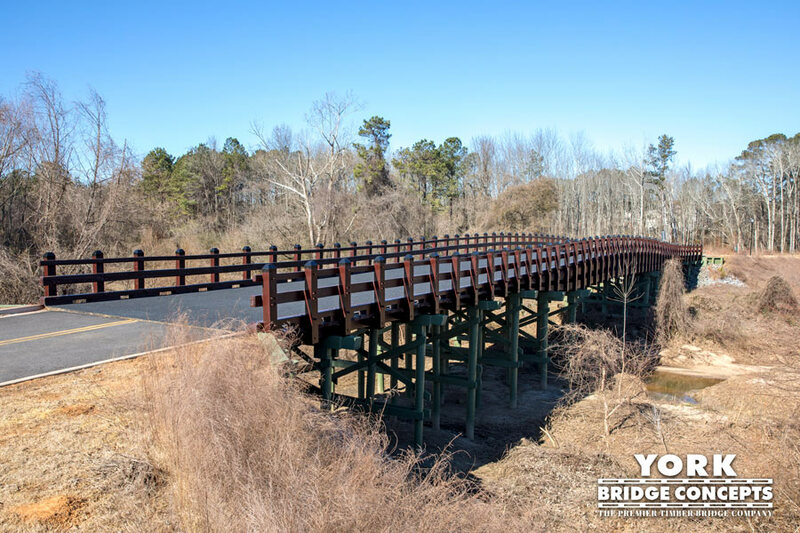 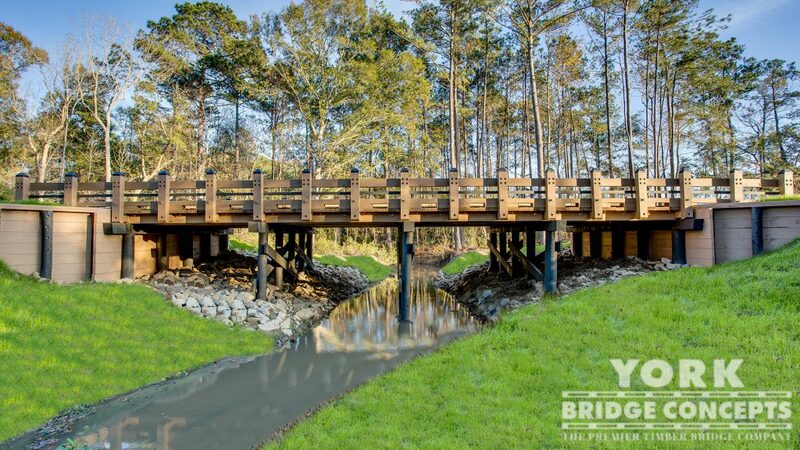 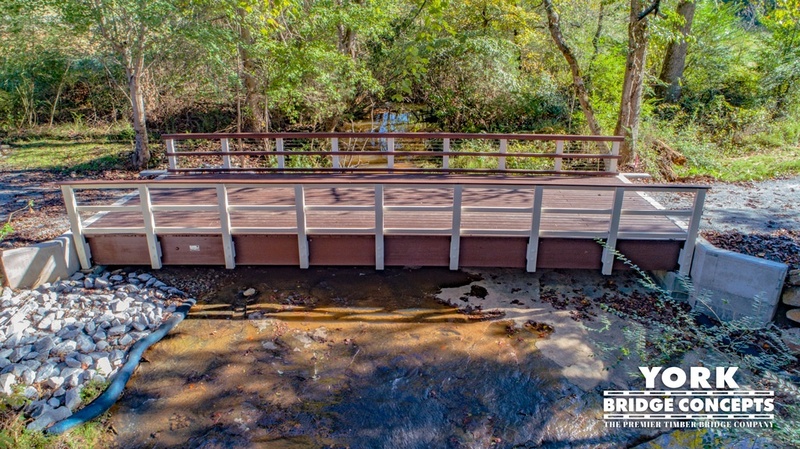 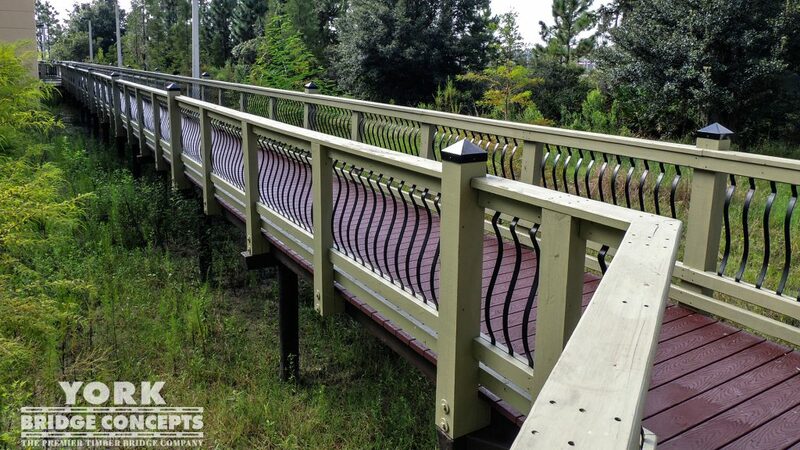 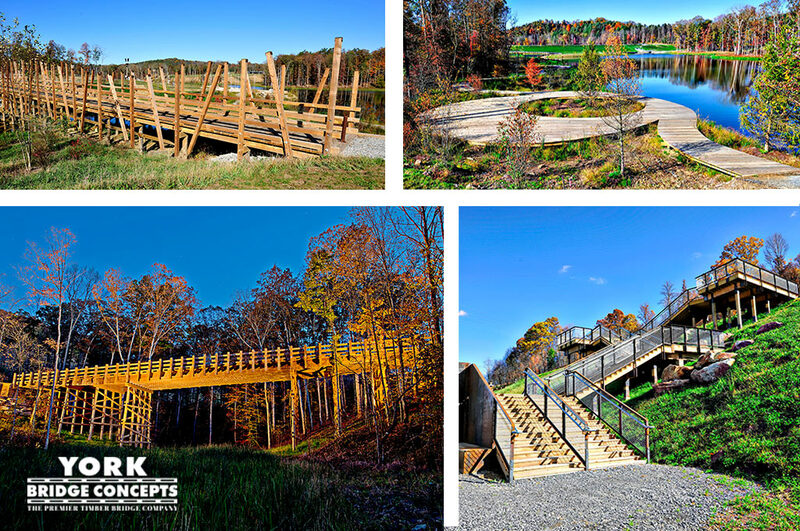 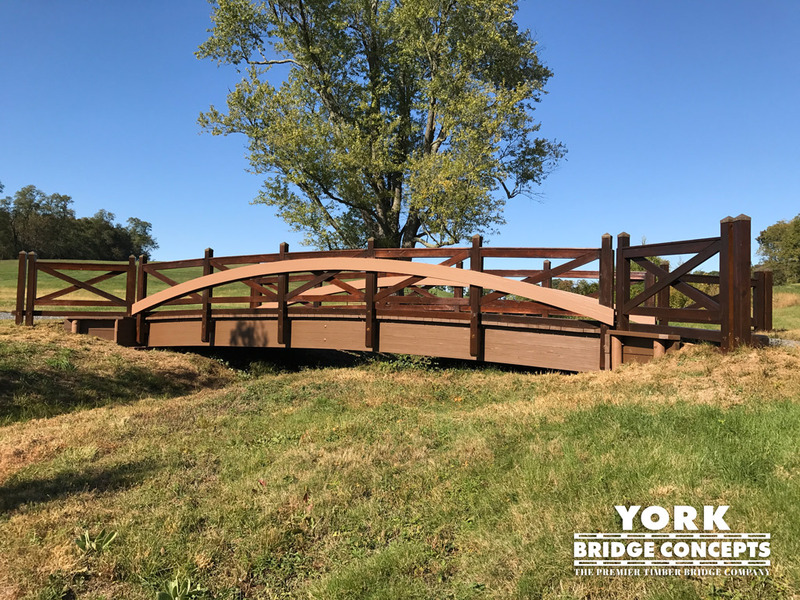 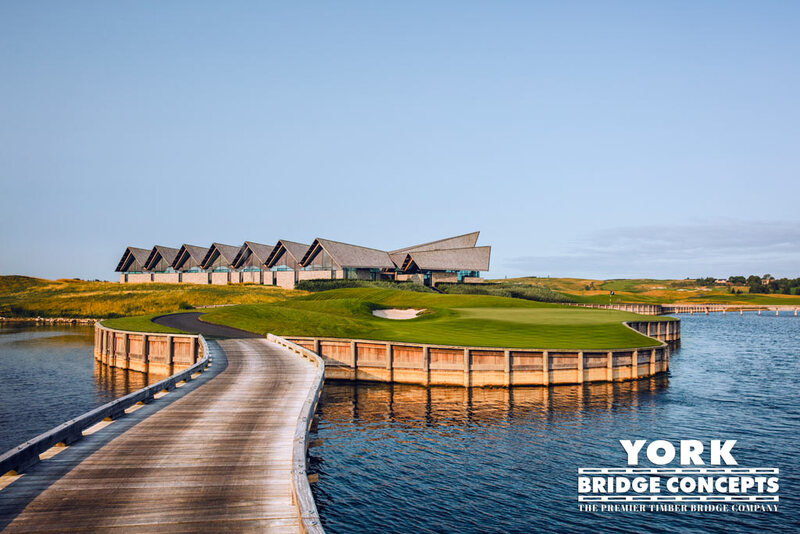 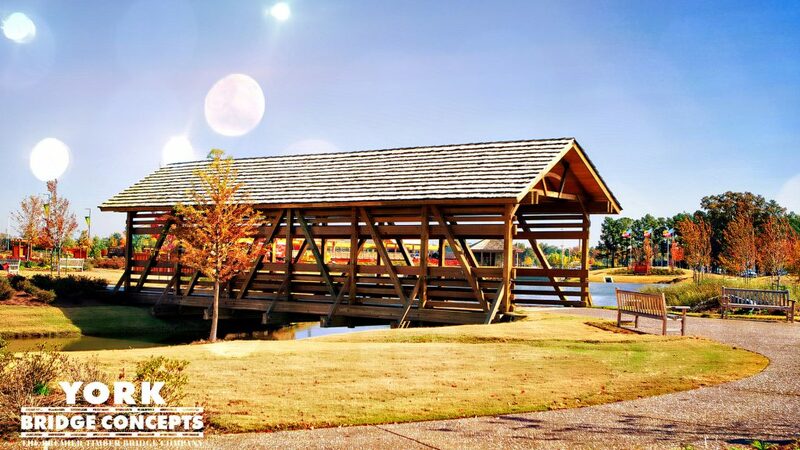 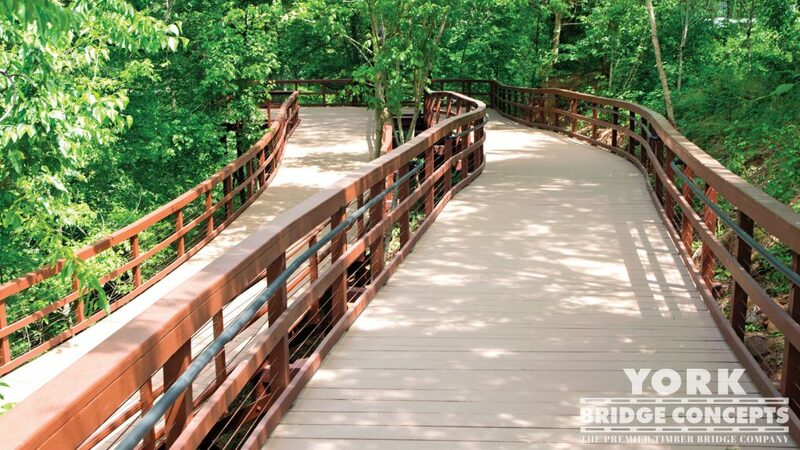 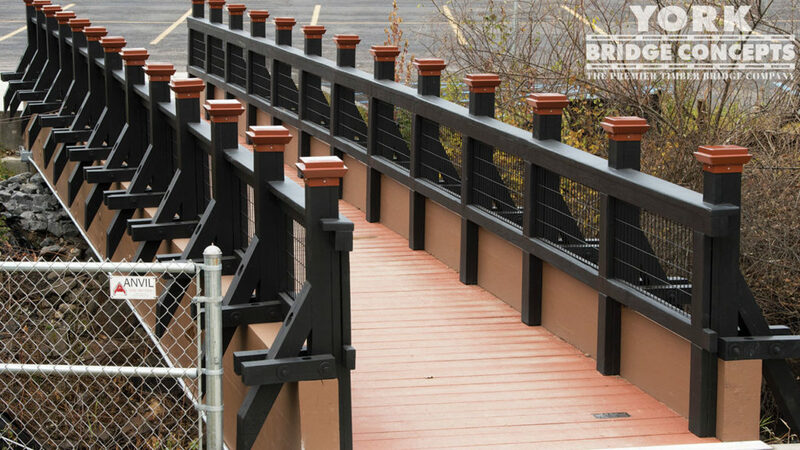 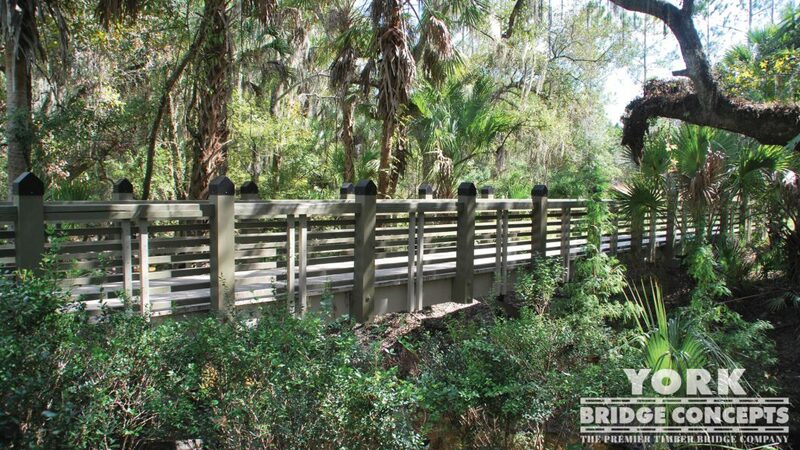 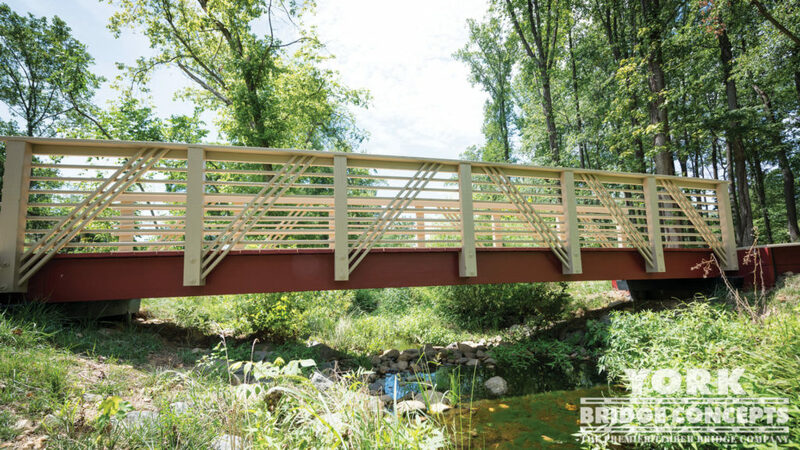 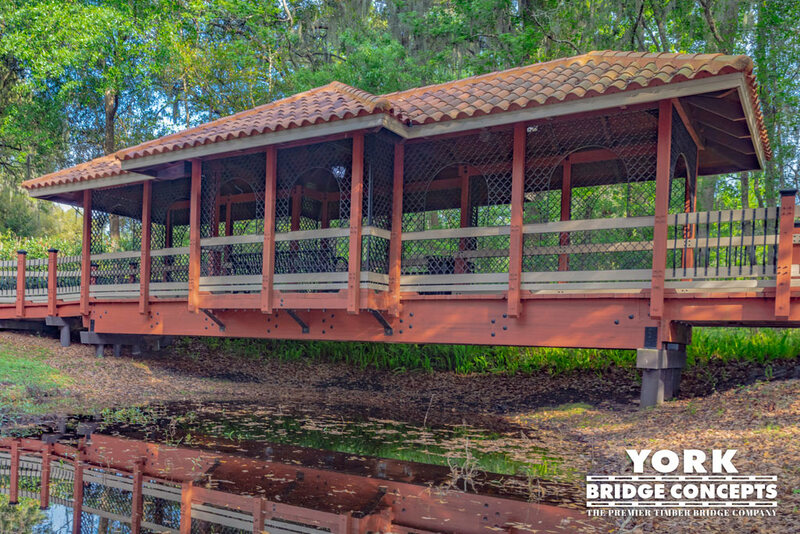 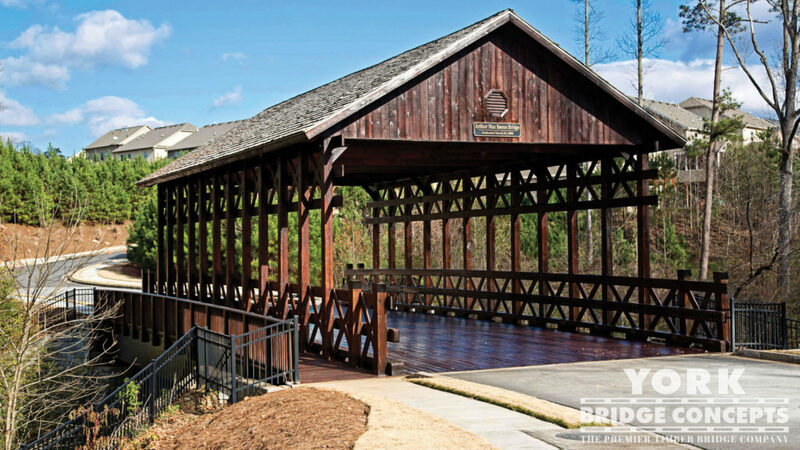 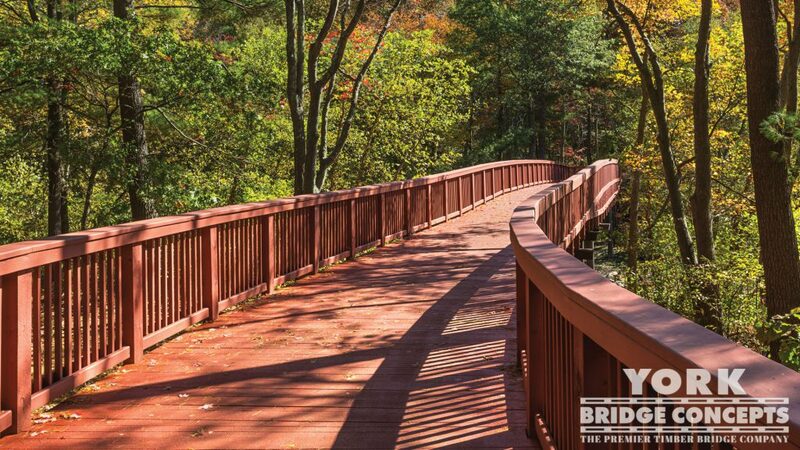 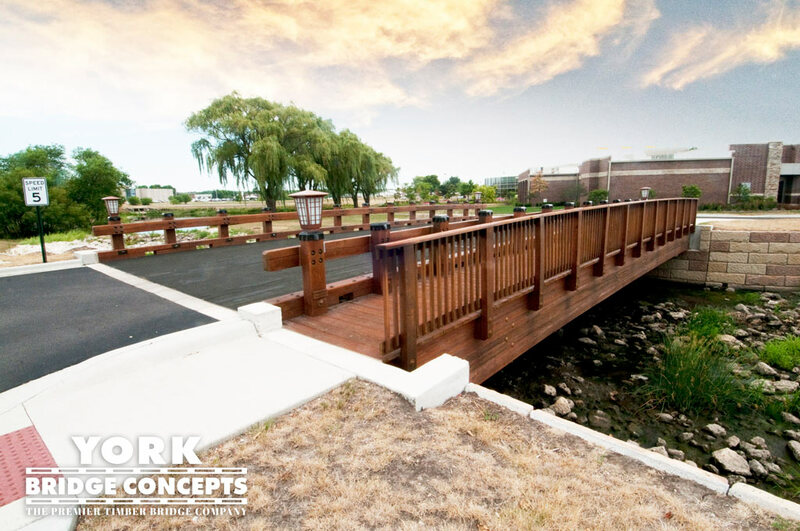 The bridge is saturated with a dark blend of translucent Cedar & Dark Oak color palette seated on complementary brown foundations that wrap the approaches. 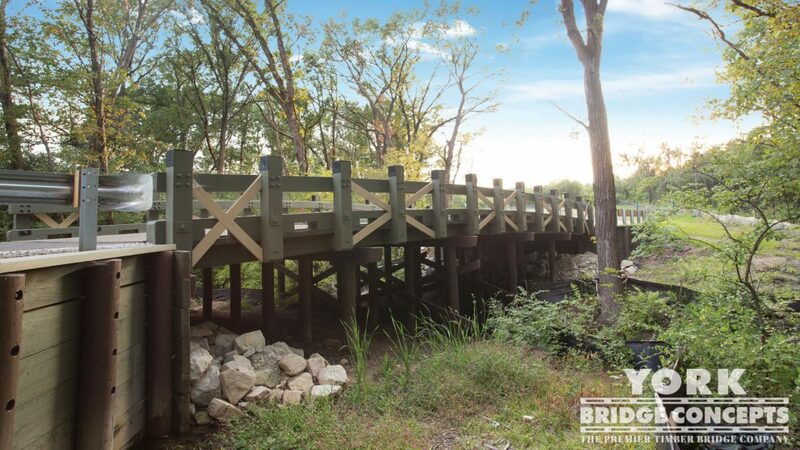 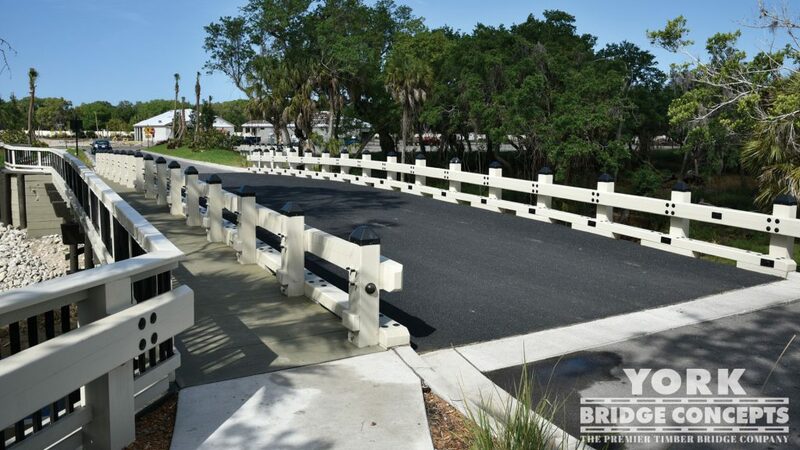 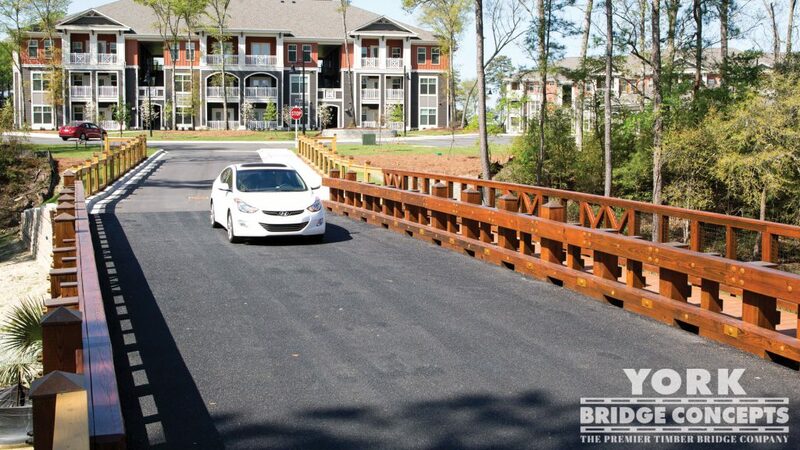 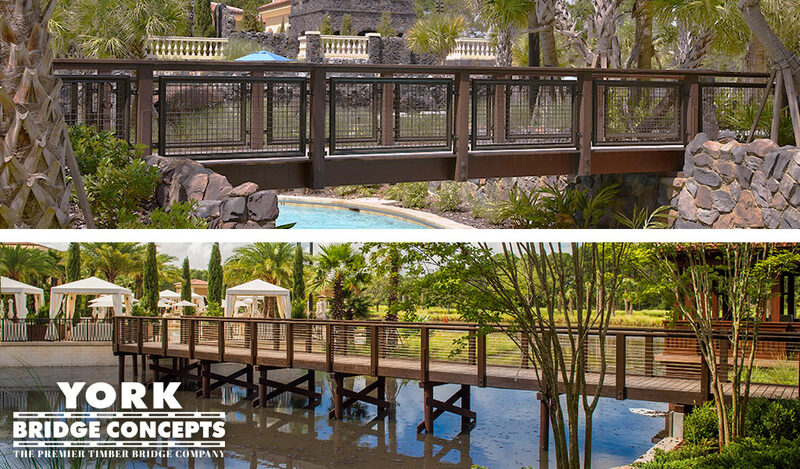 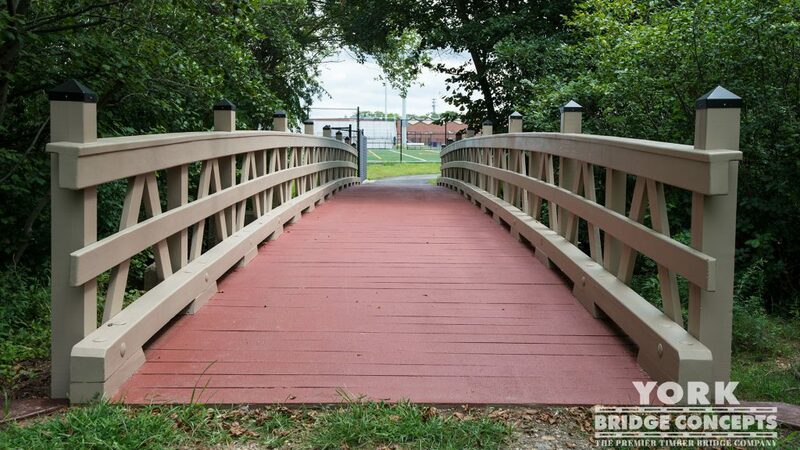 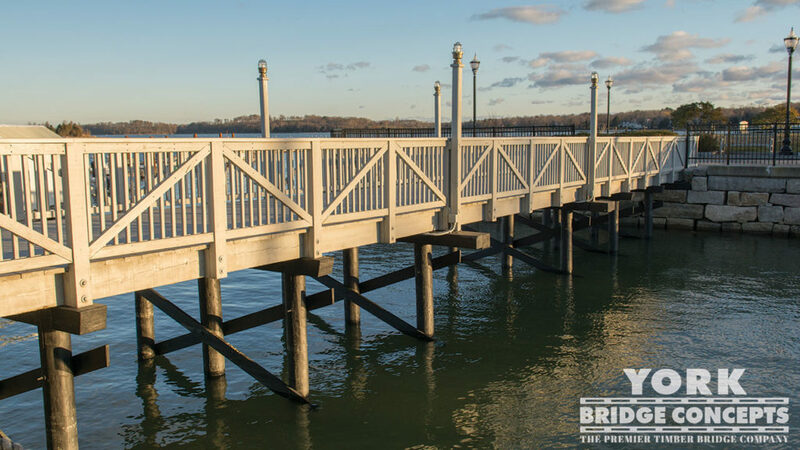 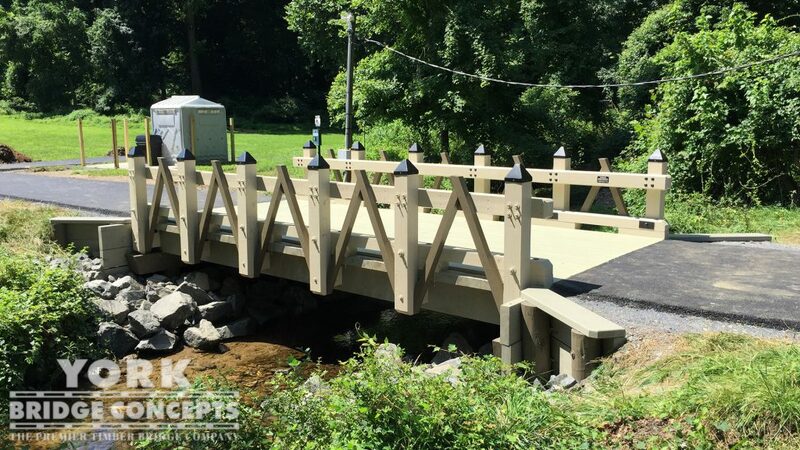 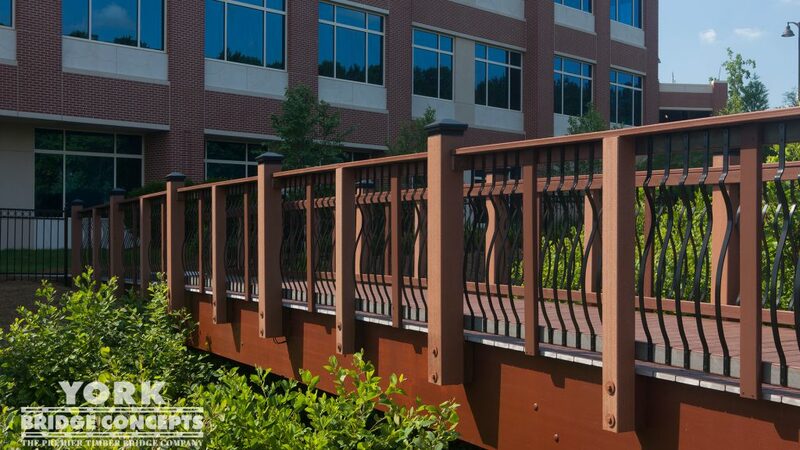 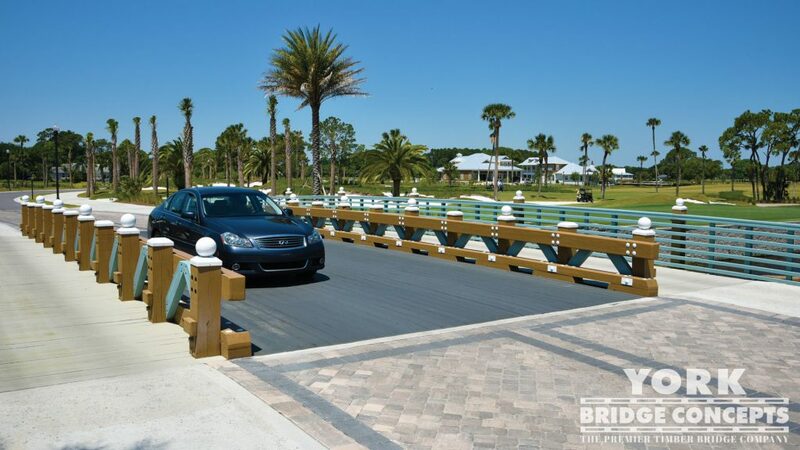 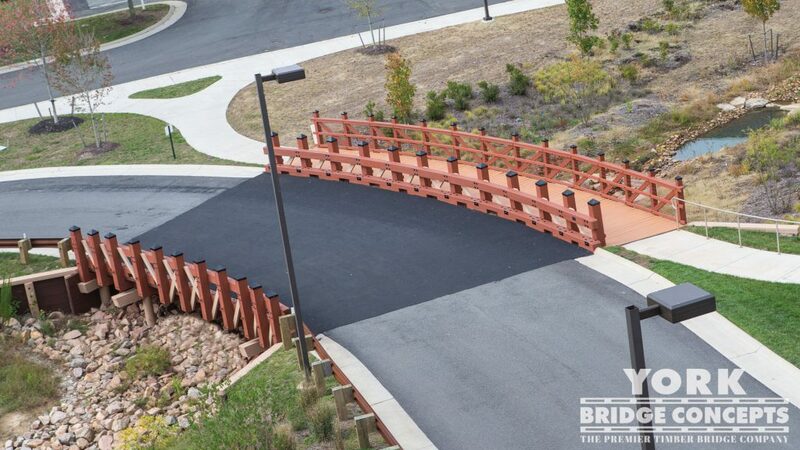 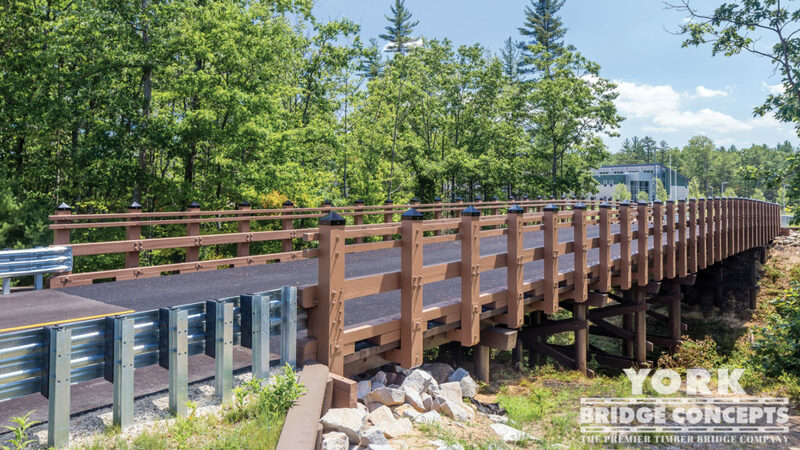 A sparkling black epoxy aggregate and crisp almond tan grace the bridge surfaces providing an extra layer of protection between the user & timber. 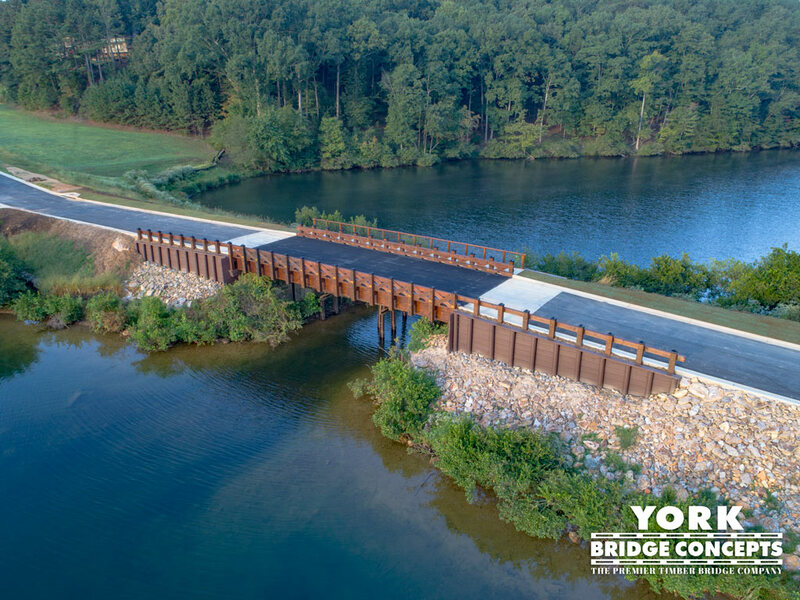 The YBC field team exhibited expert precision and precaution to set the piling foundations amongst the existing former bridge structure & pipelines for a flawless build. 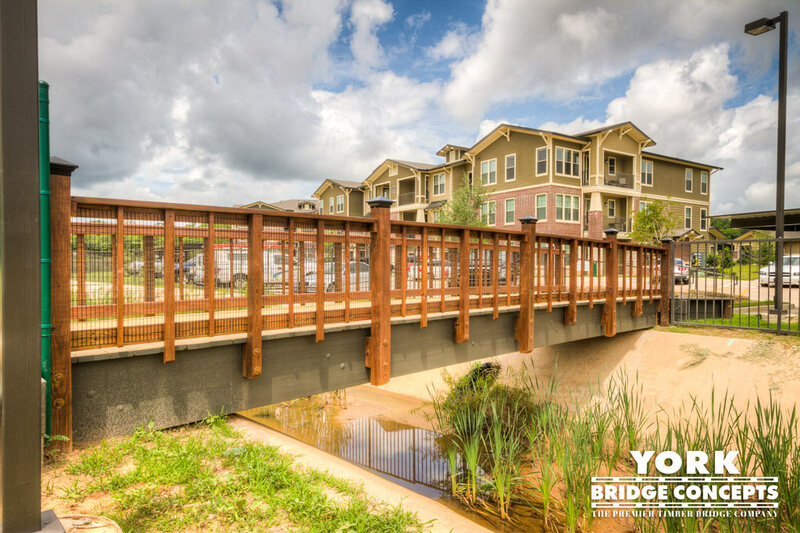 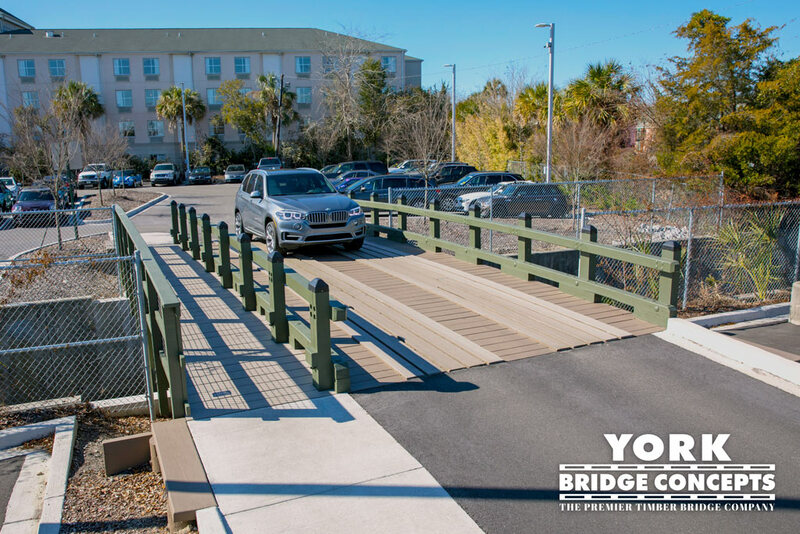 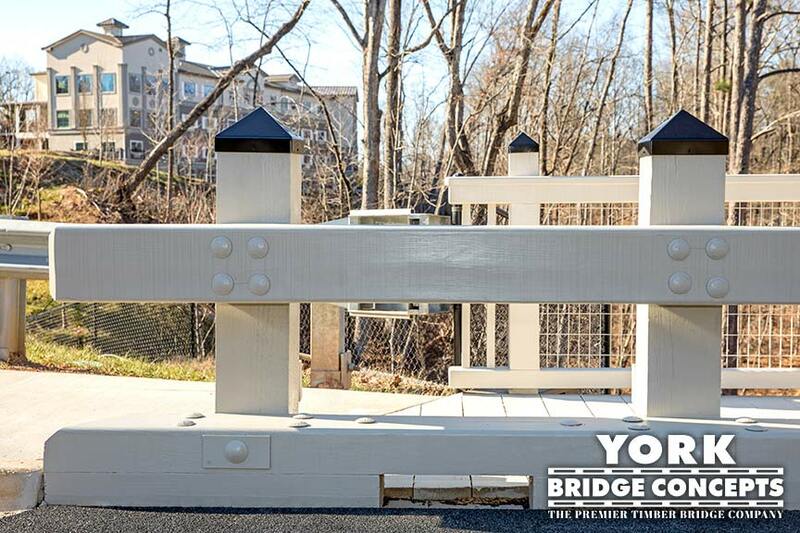 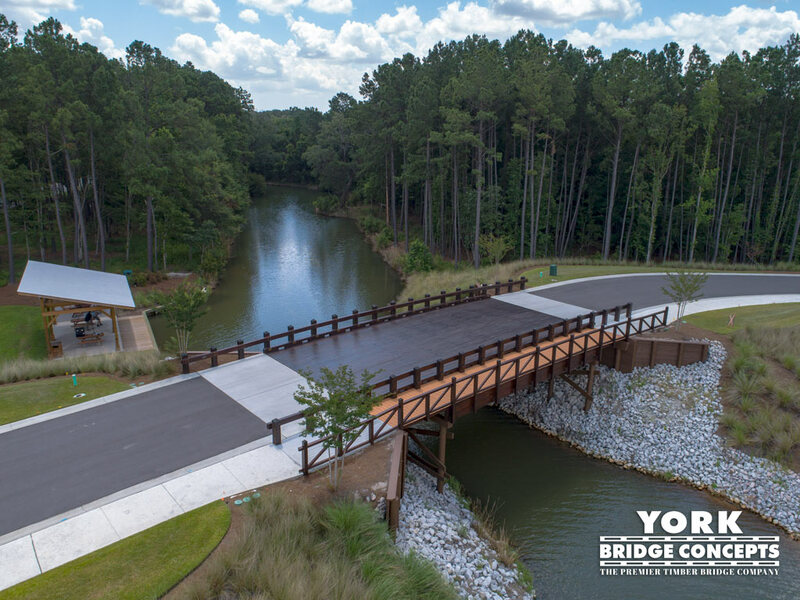 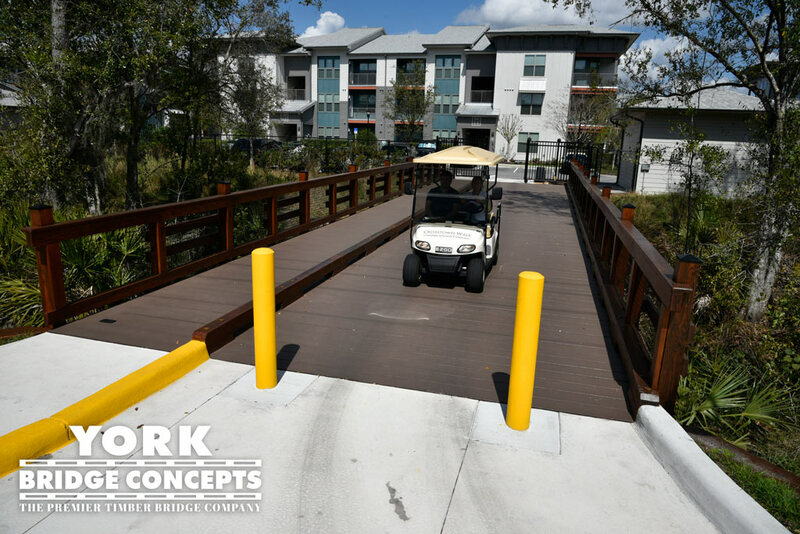 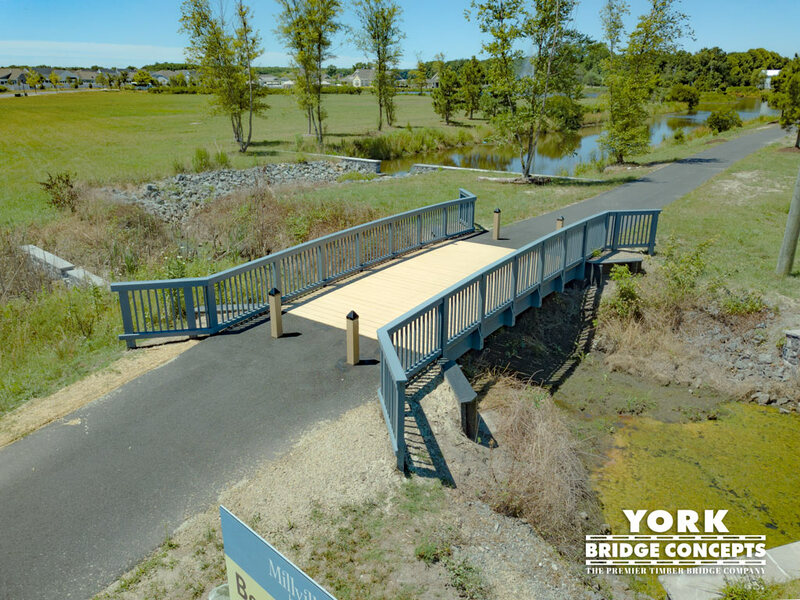 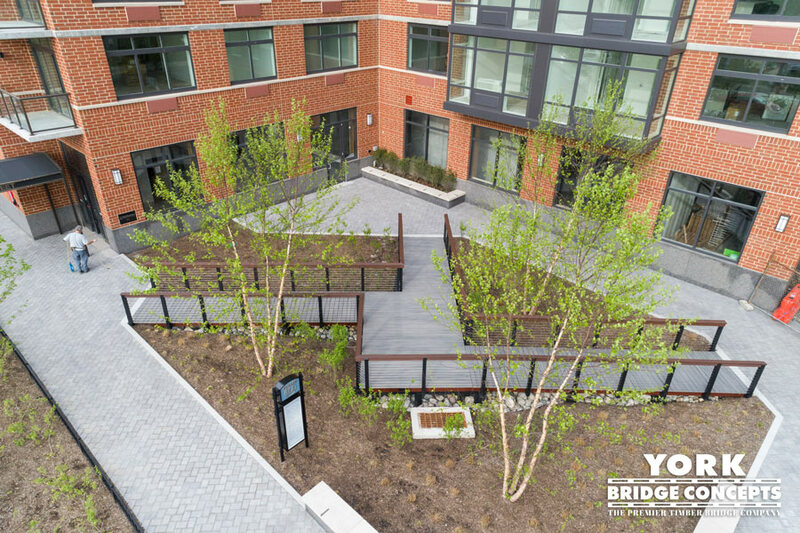 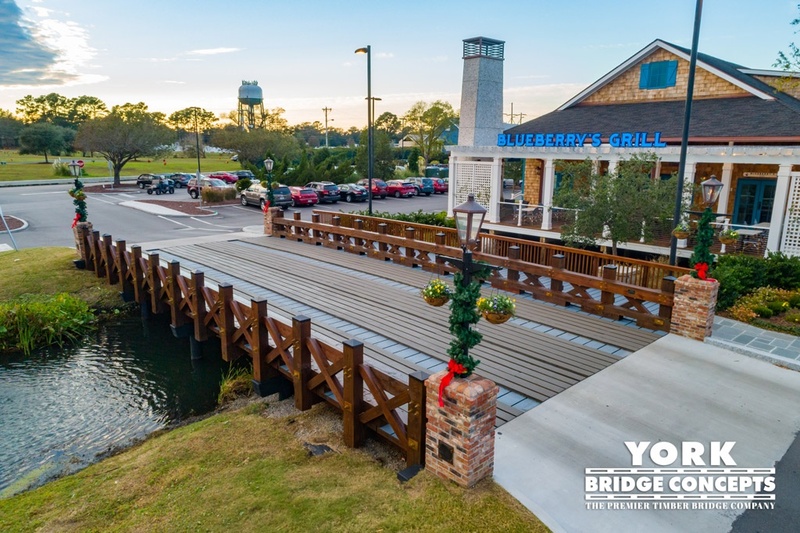 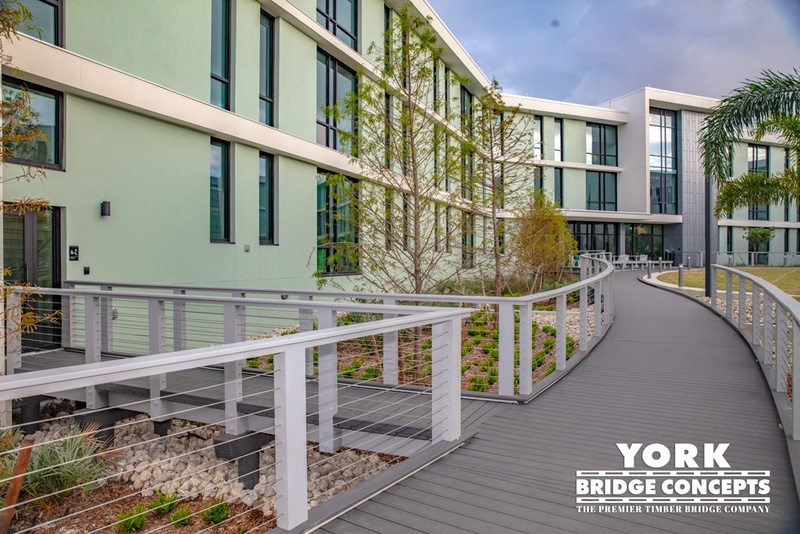 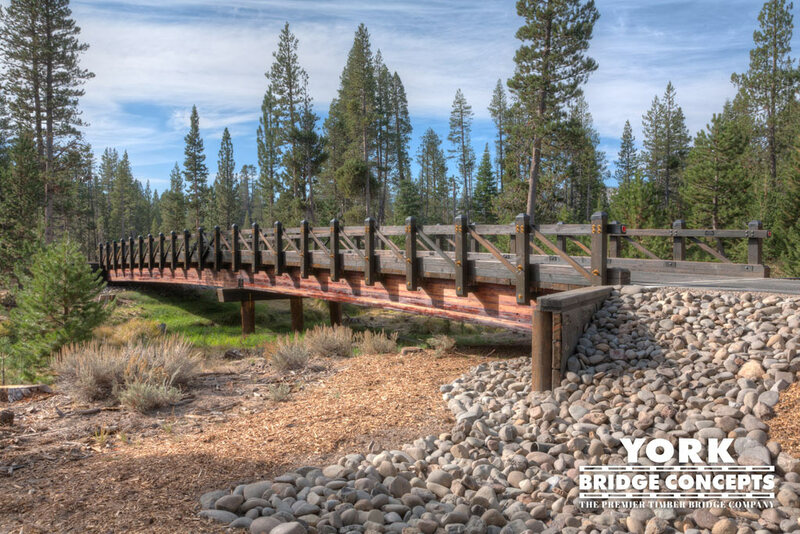 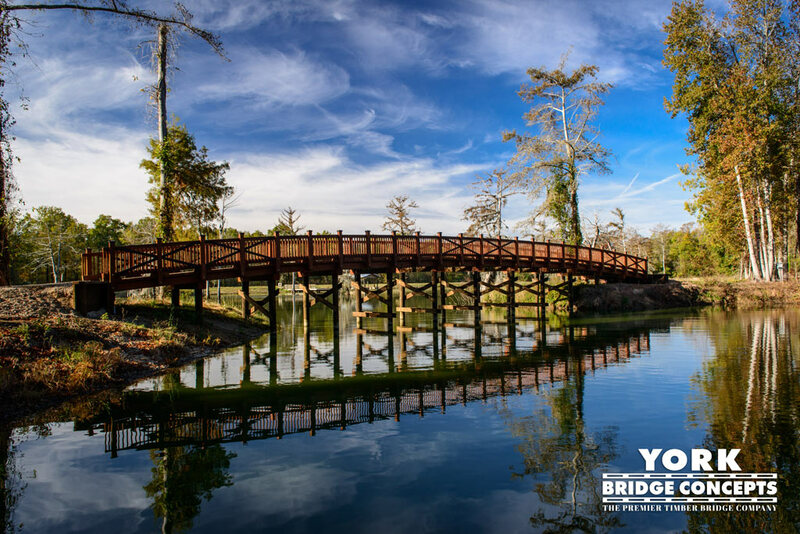 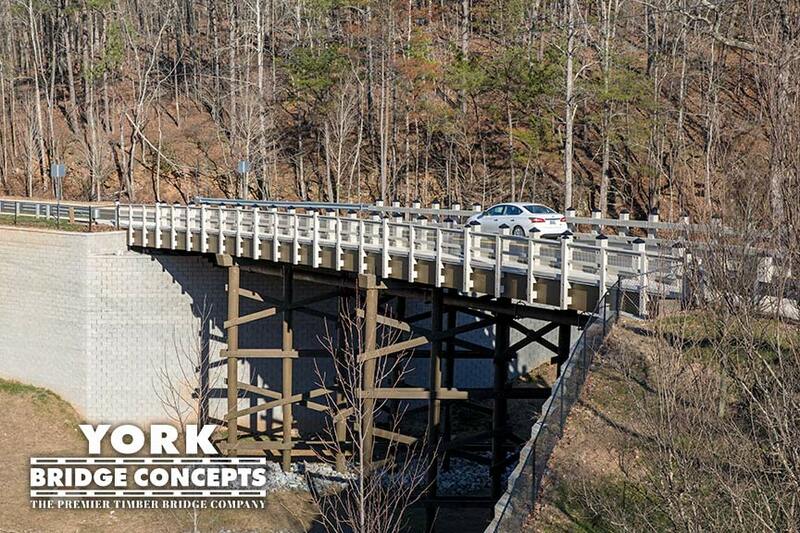 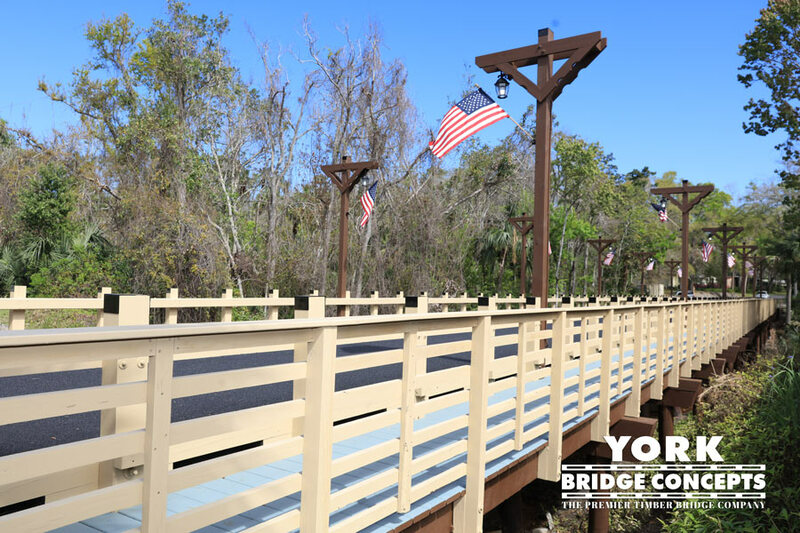 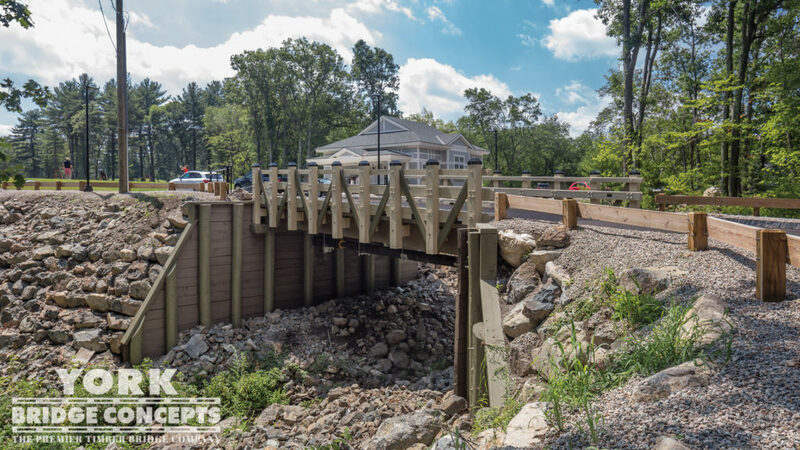 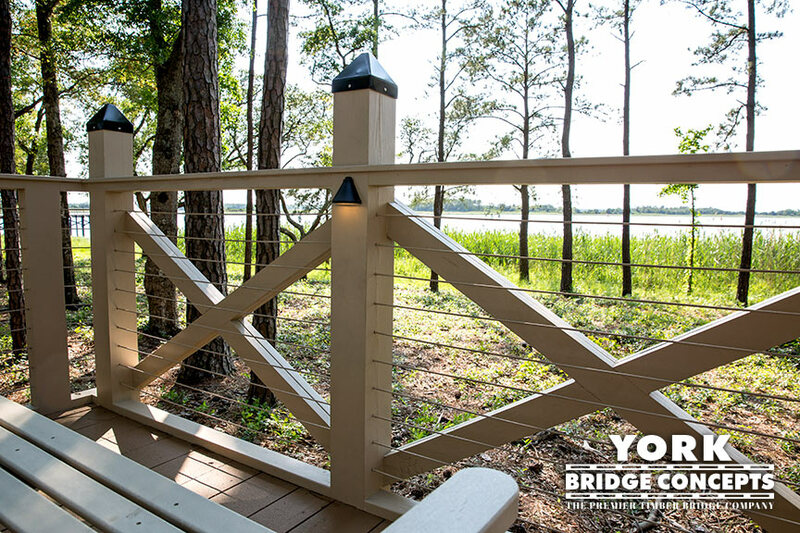 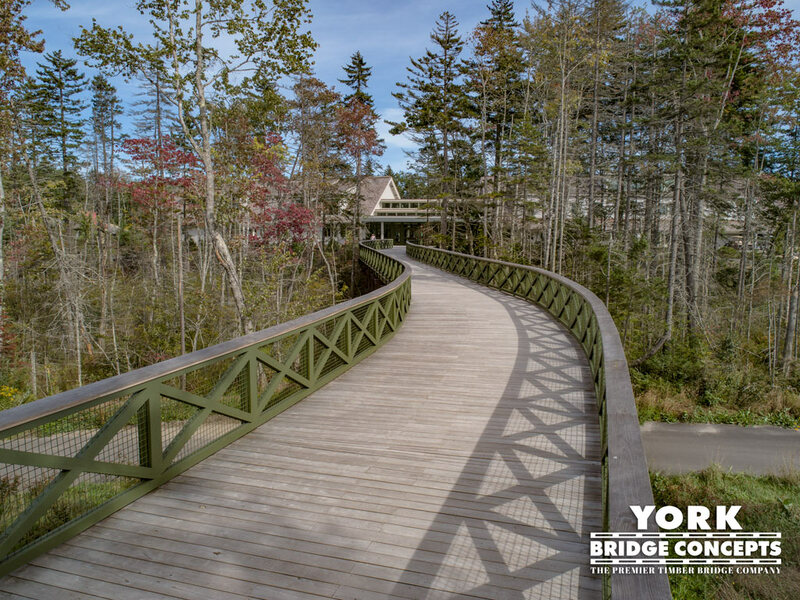 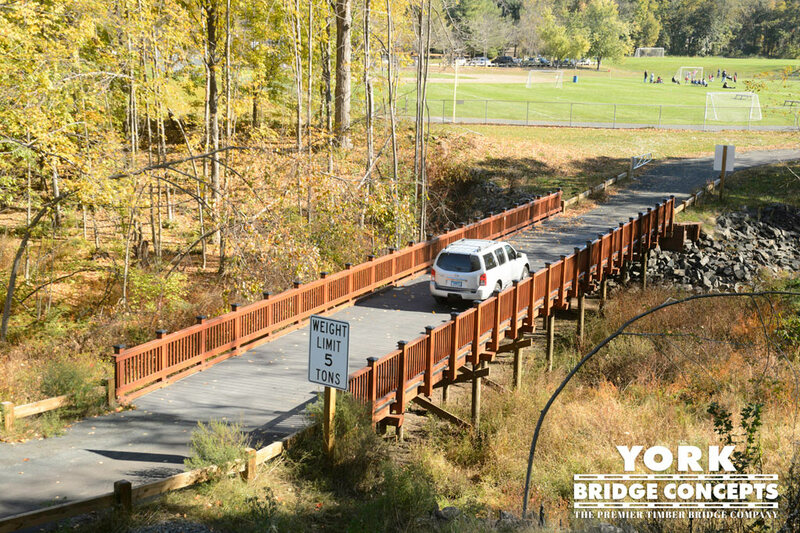 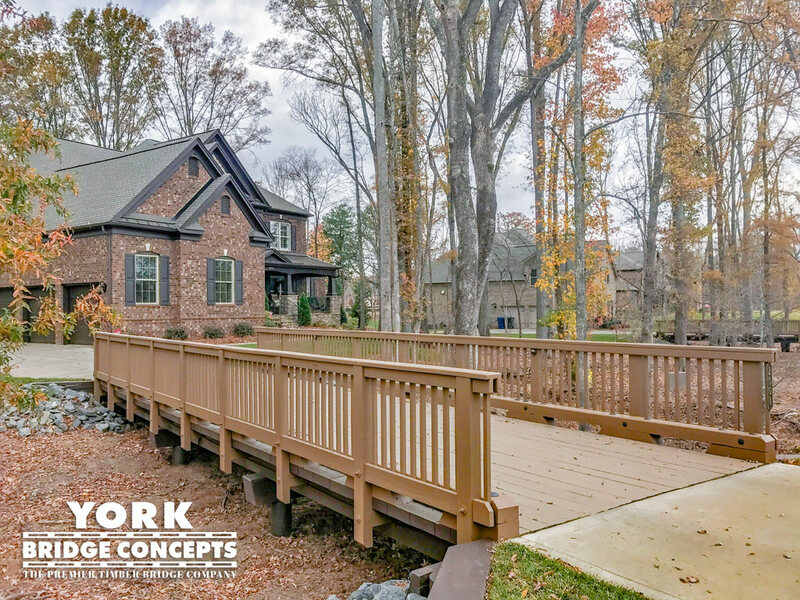 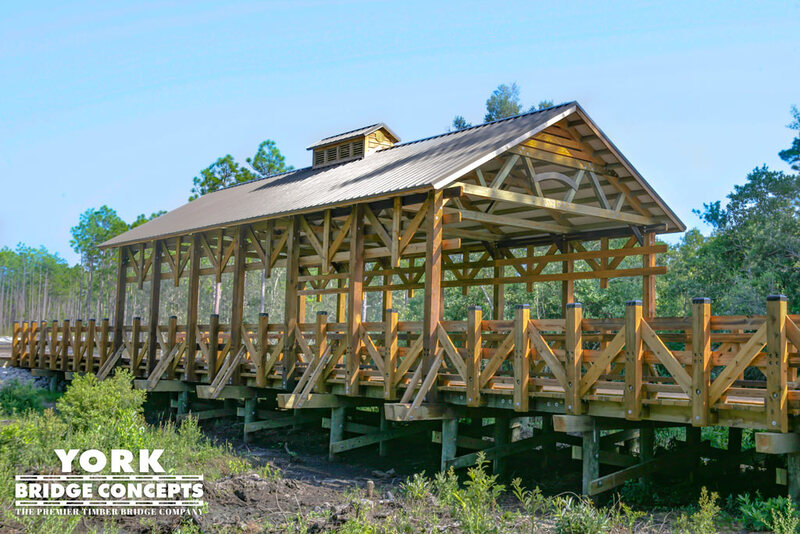 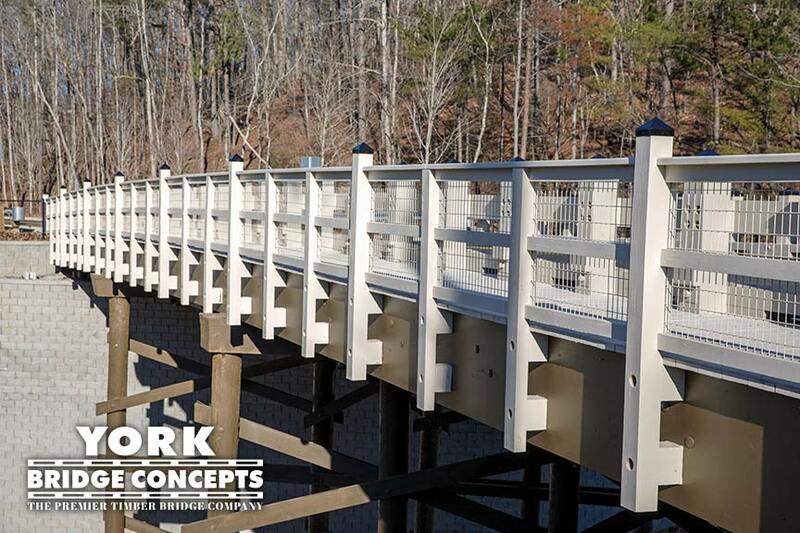 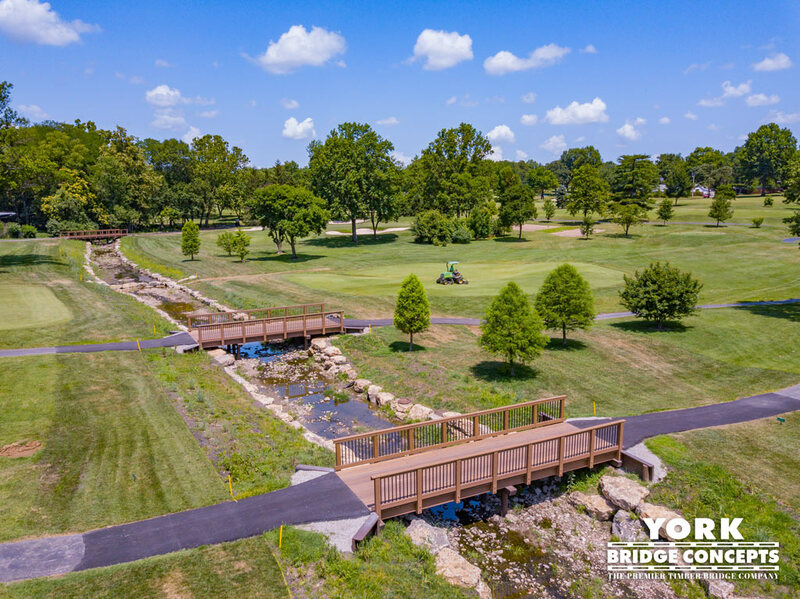 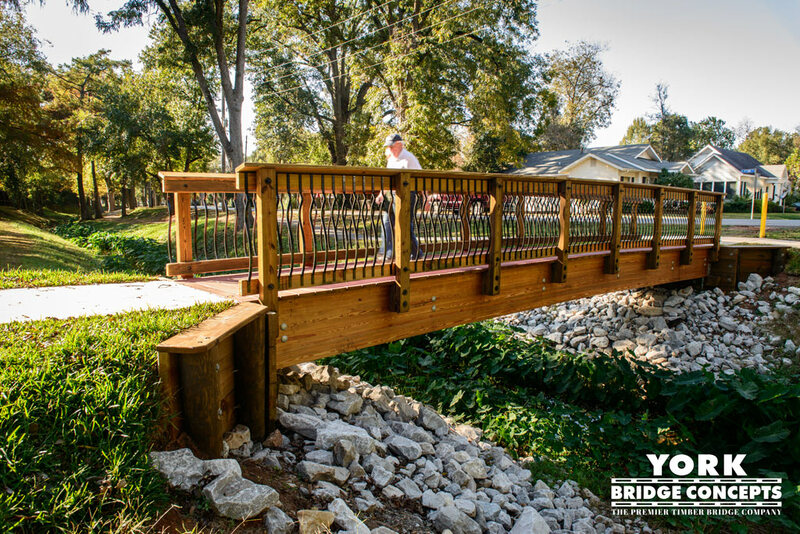 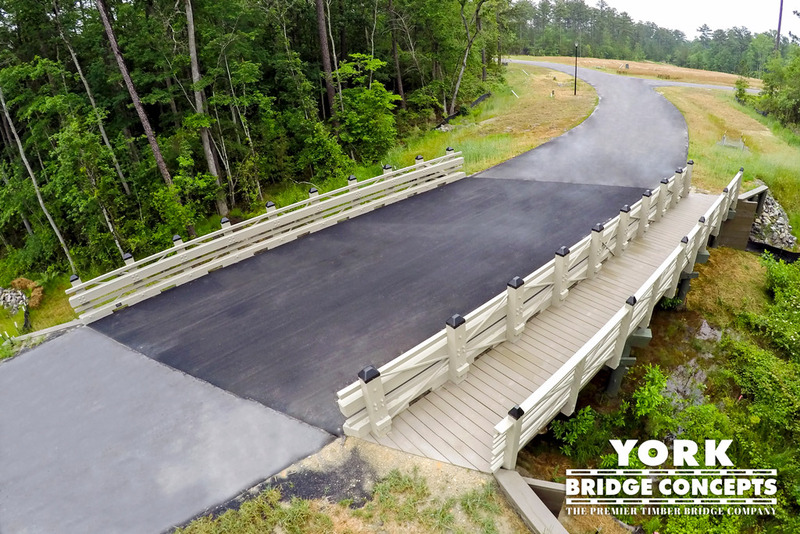 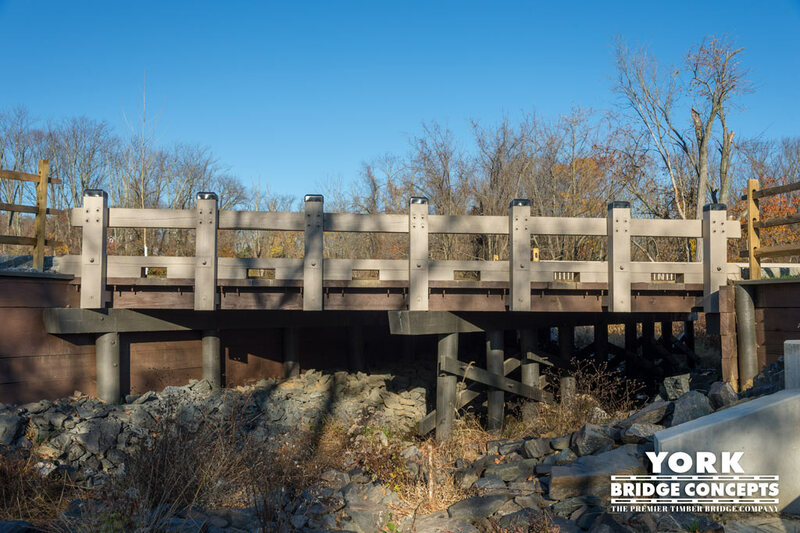 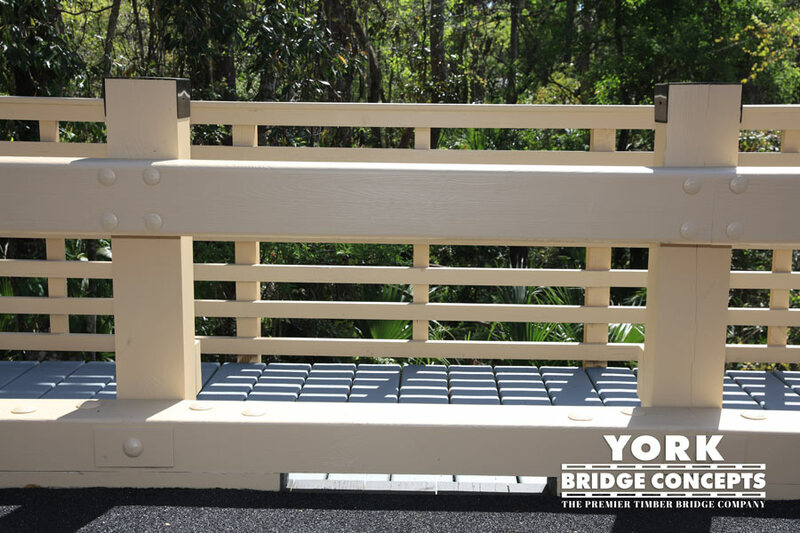 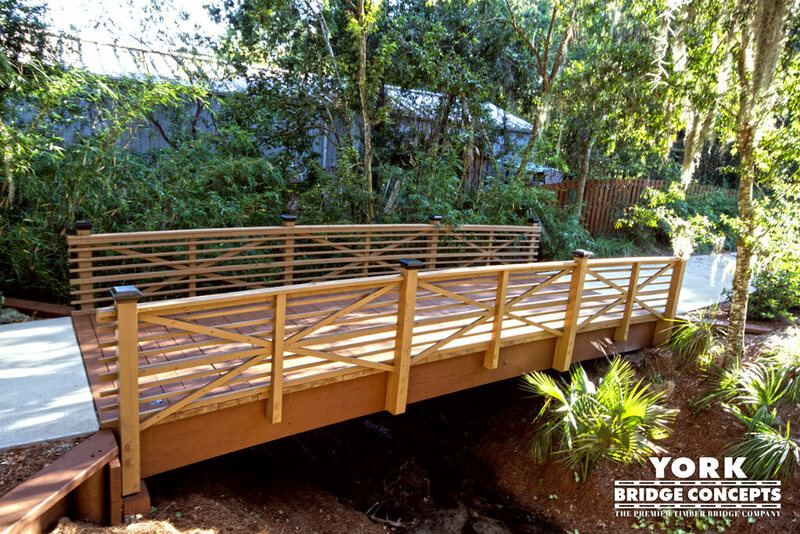 This is the 3rd York Bridge for the 3rd developer partnership with York Bridge Concepts in the growing Lake Arrowhead community.